missTANGQ does monthly forecasts based on the Chinese lunisolar calendar. Each month will focus on the animal and element from Chinese astrology and the zodiac month. To sign up and be the first to receive updates, please enter your email here. 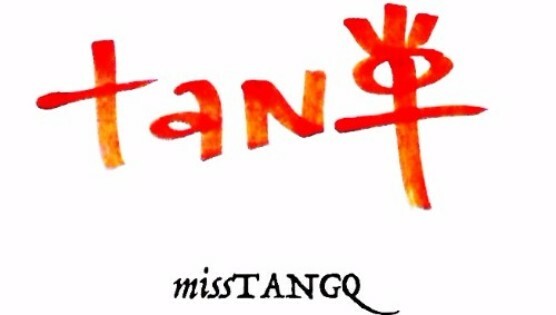 Welcome to the missTANGQ newsletter. I will be sharing monthly forecasts based on the Chinese solar calendar as well as updates on showings, readings and new projects. Enjoy! We have entered the month of the Yin Wood Ox, lasting until February 4th in the Chinese lunisolar calendar. The 12 animals of the Chinese zodiac each rule a year, month, day and hour. 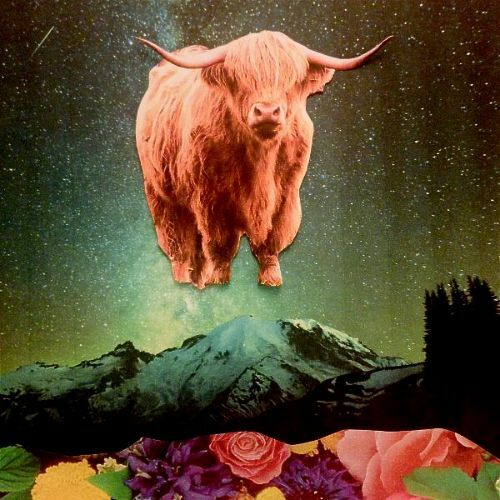 We are currently in a Dog year and beginning the month of the Ox. This month is also ruled by the element of Yin Wood. Last month we explored the theme of conception. 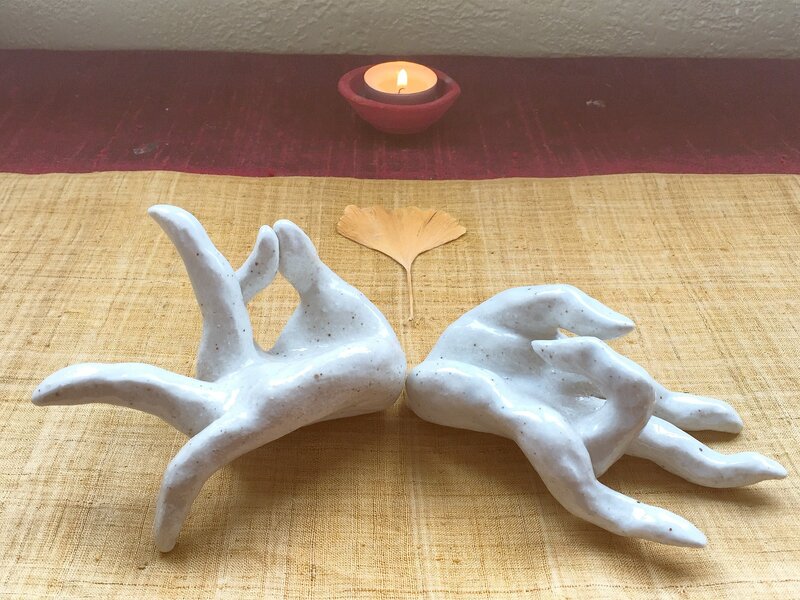 In this month of the Yin Wood Ox, we enter the symbolic life phase of pregnancy, or hidden labor. 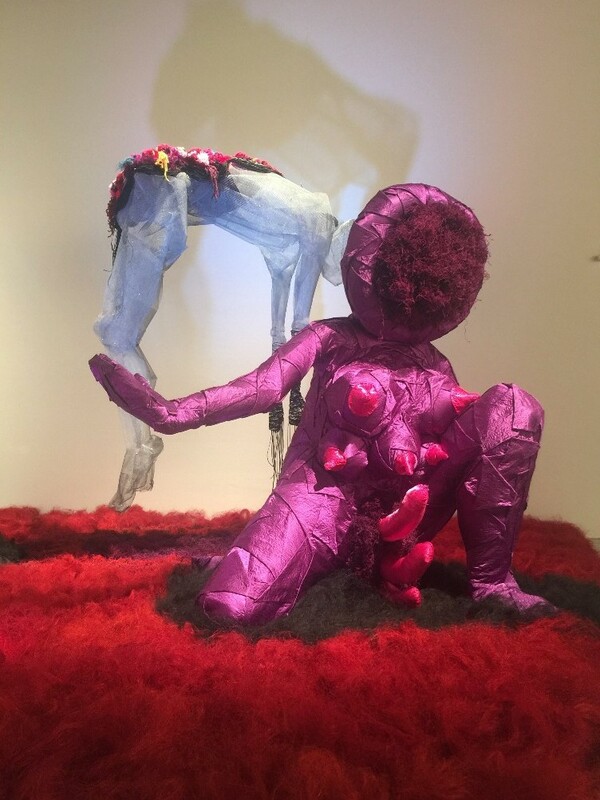 This theme represents work in the domestic realm, emotional and relational labor, the role of the provider that is not seen publicly, as well as the work of receptivity and introspection. This is often considered “feminine” work and is invisibilized because it is devalued in our society, and thus we diminish its importance in our own lives. This month I ask you to prioritize your hidden labor and see it as worthy as any work done out-loud and in public. What receives recognition are moments of success and victory, but it is the accumulated rituals of hidden labor that make them possible. Take time to be grateful for all the hidden labor that others do in your life. Who feeds you, nourishes you, cleans up the mess you make? This includes all the service work, thankless and dirty jobs that make your lifestyle and modern civilization possible. When reflecting on this month's theme, I've realized the best way to to communicate the importance of hidden labor is to immerse myself in it. Rather than delivering my full forecast for this month, I will be dedicated to organizing, cleaning and tending to all the behind the scenes aspects of my life. Remember that hiding is the inner work of creation. When planting seeds, you must cover them. The work of pregnancy is hidden, and birth comes only when development is ready - it cannot be rushed. Next month we enter a new year in the Chinese zodiac: the Yin Earth Pig. I will be sharing with you my thoughts for this new cycle, along with the monthly theme for Yang Fire Tiger, the totem for February and my personal year pillar. Stay tuned for a double forecast! 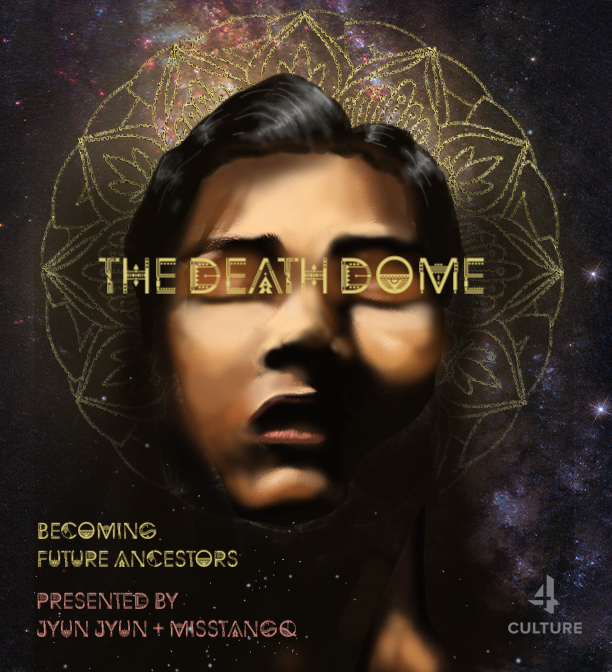 Last month Jyun Jyun and I debuted our largest interactive installation yet, titled Future Ancestors: The Death Dome. This was project was an immense undertaking, requiring countless hours of dedication and hidden labor. We would like to thank all the guests that attended the opening, and give a special shout out to our collaborators and supporters. Without their help and talent, this installation would not have been possible. 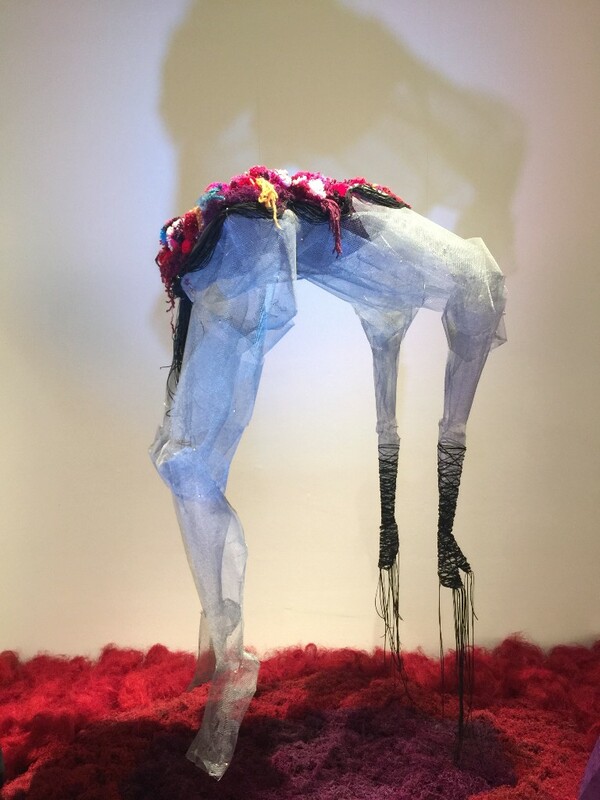 If you missed Inherited Luminescence, you can now experience it at Wander Woman, an all-female immigrant POC show at Root Division! 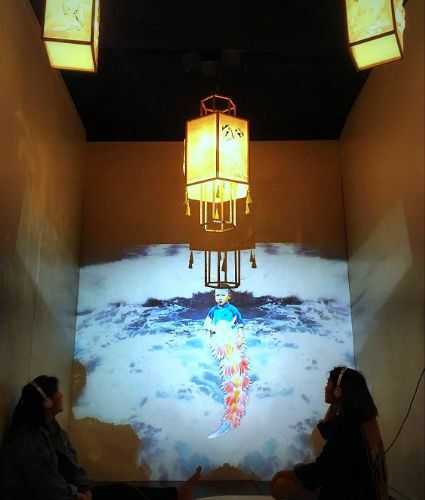 Kristi Chan and I collaborated on this immersive installation, which pays tribute to ancestors, the ocean and the play between light and shadow. This work invites audiences to become submerged in the alchemy of remembrance, where one’s inheritance and history intermingles with the creative power of incarnation. Jyun Jyun and I are playing music with an exciting lineup from Buenos Aires and Berlin! 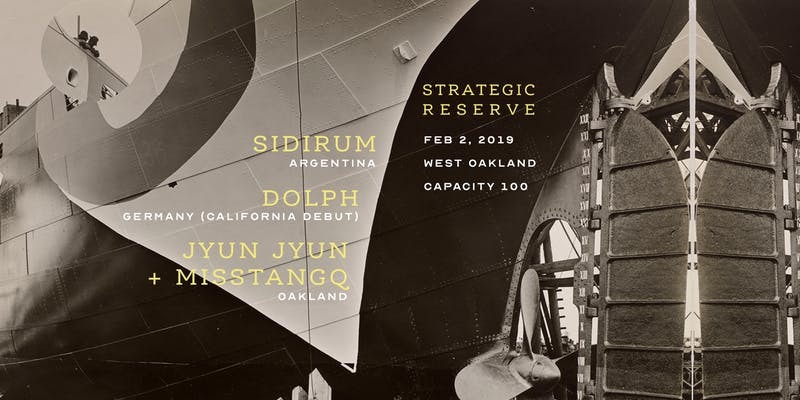 Stretegic Reserve is one of our favorite underground Oakland parties, and we are curating our best asian bass tunes as well as Jyun Jyun originals to shake up the dance floor. The 4716th year of the Chinese calendar is almost here! Curious about how to make choices in the Earth Pig year that are in alignment with the Dao of your destiny? A Yearly Progression reading combines 八字 (Chinese astrology) chart analysis and the 易經 (Yijing) divination to examine the cosmic and karmic forces affecting you in the new year. Book your 90 minute reading today. To see other readings I offer, pricing and testimonials, please visit my website. Copyright © 2019 missTANGQ, All rights reserved. We have entered the month of the Yang Wood Rat, lasting until January 6th in the Chinese lunisolar calendar. The 12 animals of the Chinese zodiac each rule a year, month, day and hour. We are currently in a Dog year and beginning the month of the Rat. This month is also ruled by the element of Yang Wood. We have entered the month of the Rat, the first totem in the Chinese zodiac. This month is also ruled by Yang Wood, the first phase in the elemental cycle. 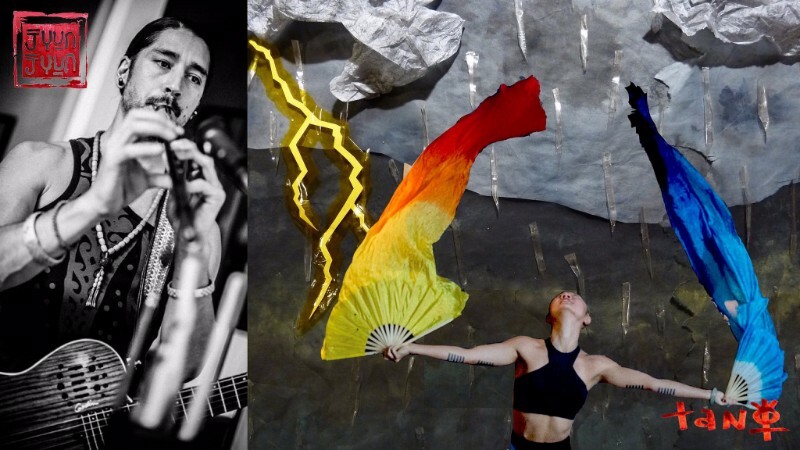 Because of these two firsts joining together, the thematic energy of this month is rebirth. The Rat represents conception: the moment when a seed is fertilized or when an idea is implanted. 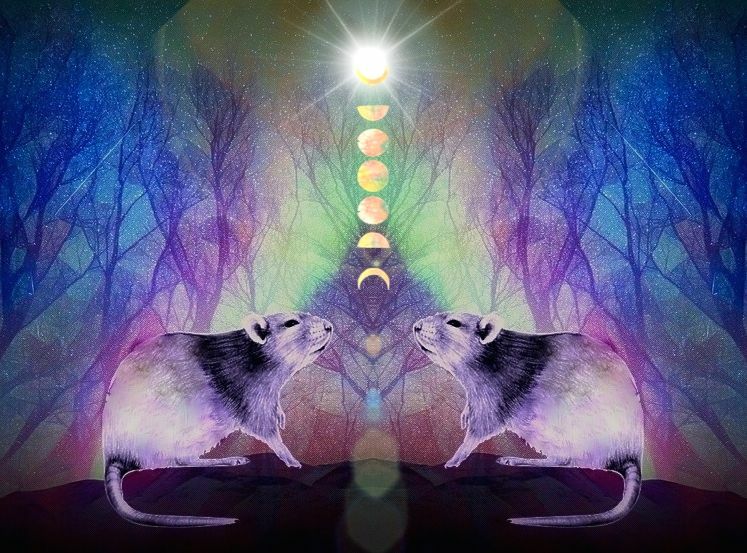 The month of the Rat contains the Winter solstice - the darkest time of year also marks when light is returning. The birth of light and a flash of inspiration are so miraculous that it can eclipse the less glamorous aspects that necessitate conception. This month is about recognizing rebirth not as a single moment, but as a process. Rebirth entails gestation, gradual steps, slow progress, and difficult beginnings. The animal that renews the zodiac is not a phoenix rising from the ashes, but the diminutive and meticulous Rat. Development happens in smallness. Yang Wood is represented by the first plant breaking out of the frost of winter, shooting upright from the soil. It carries the yang energy needed to push past inertia, to emerge and create from nothing. We can harness this time to foster the strength of primal energy and shake off unwanted patterns. Yang Wood symbolizes the process of breaking out of acquired conditioning and bringing the primordial to form. Rebirth is returning the nonexistent to existence, which cannot be done in a single day. The process involved is subtle and the course work is long. Rebirth happens choice by choice, in increments of self development. If you breathe with the seasons, you would know that this is a time of obscurity and darkness - the mystery of creation. You should work gradually and try not to seek quick success. In this stage of potentiality, you can make anything grow. Make sure you grow what is right, deliberate and purposeful. Understanding smallness requires perceiving scale, which is an ability see relationships and relativity. Holding multiple perspectives at one time allows for a more objective view of reality. One event can be seen as multiple small events as well as a single event within a much larger one. One individual perspective can be both a vast universe as well as a tiny speck of reality. Smallness demands that we see things not in isolation, but as a continuum. Smallness should not be confused with myopia, or nearsightedness. Smallness is an art of seeing: it enlarges your world by drawing you to listen and observe more closely, while myopia shrinks your world with the belief that your perspective is the only truth. Smallness is a kind of intimacy, an attentiveness that is not forced. How do we see something, someone, or an event as brand new? It is always through noticing the small: the particular way someone makes a gesture, the unique pattern of a single leaf. Smallness teaches us to meet the world with generosity rather than entitlement. It is only through the large that we make generalizations. From a distance, a sunset happens every day, but by observing closely, you realize no sunset will ever repeat the same way again. It is easy to judge a group of people at large, but it is much harder when you get up close. Our common humanity is found not in broad glances but in the most intimate of details. Understanding your own smallness is revolutionary in a society of fragmentation. The effort required to perceive smallness necessitates patience, humility and receptivity. You have to get close to someone to notice the details. The energy that is cultivated is one of attraction, which like gravity is a fundamental force in nature. However, fragmentation is the ruling force of our society. Fragmentation is cultivated by rejection, shame, and is the foundation for psychosis and war. It is the hallmark of a society that cannot take responsibility to care for the most hurt amongst itself. Instead it seeks to separate, discard, control and imprison. Attentiveness to smallness can actually repair fragmentation. It is through the intimacy of smallness that we are led back to the larger whole eventually. Consider that the infinitesimal is the value that approaches zero, or unity. When we break reality down small enough, such as at the subatomic level, what was once defined and separate begins to exist in multiple places simultaneously. At this scale, we can perceive things not as particles, but as waves. That is to say, not as individuals but as relationships. I am beyond excited to announce the debut of our newest large-scale installation! 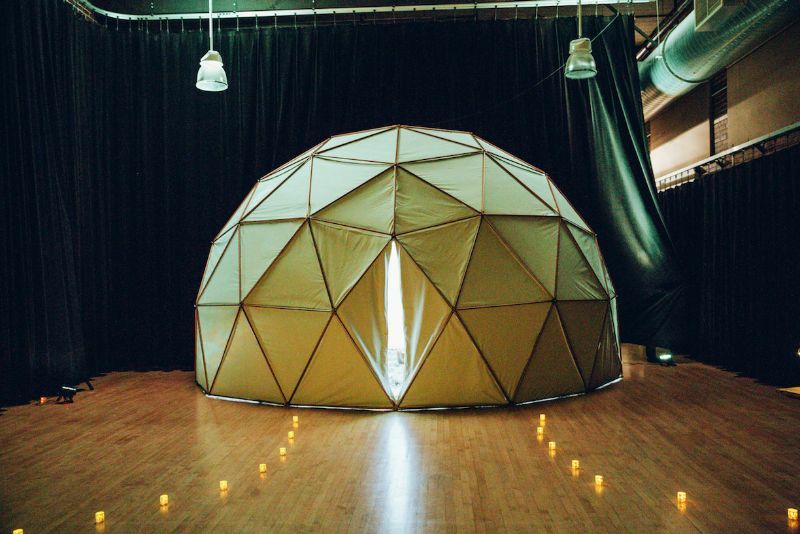 The Death Dome provides 360 degrees of immersive projected animations and music. 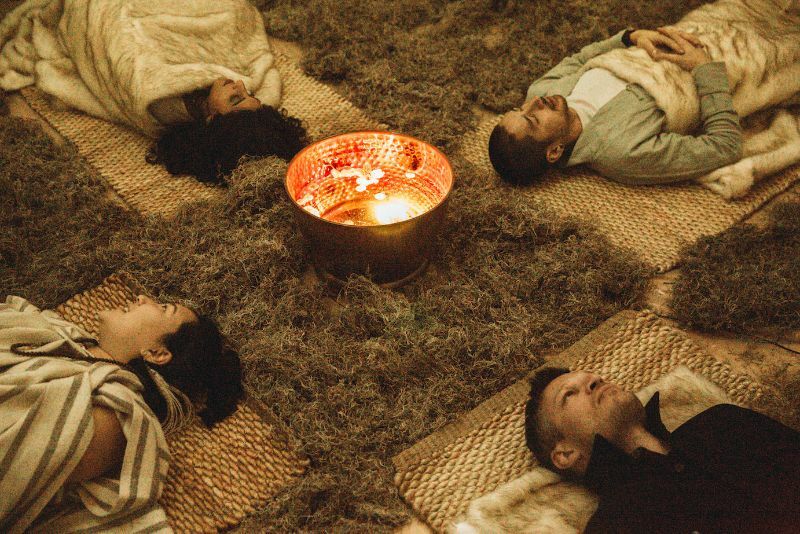 Based on the Buddhist Bardos, this audio/visual experience takes participants through the intermediary states between life, death and rebirth. 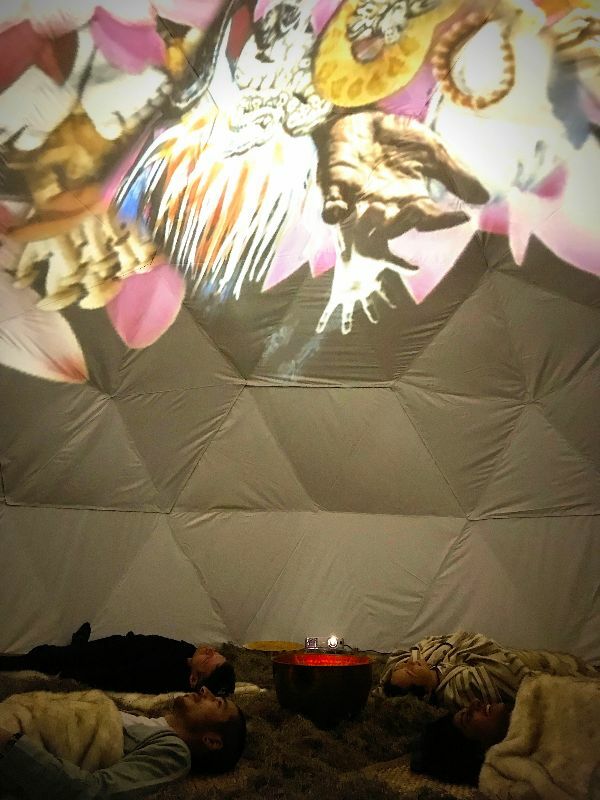 Part interactive habitat, reflective practice and multi-sensory world, the Death Dome transports you into the process of rebirth. This Winter Solstice, invite the returning of light with imagination, and experience your final resting place as a celebration of life. **Limited to 32 participants only** Please RSVP for more info and reserve your time slot! A Yearly Progression reading combines 八字 (Chinese astrology) chart analysis and the 易經 (Yijing) divination to examine the cosmic and karmic forces affecting you in the new year. For a limited time only, I am offering 20% off for purchases of multiple readings. This makes for a great deal on holiday gifts for friends and family! Please email me to book and activate this discount. Copyright © 2018 missTANGQ, All rights reserved. We have entered the month of the Yin Water Pig, lasting until December 6th in the Chinese lunisolar calendar. The 12 animals of the Chinese zodiac each rule a year, month, day and hour. We are currently in a Dog year and beginning the month of the Pig. This month is also ruled by the element of Yin Water. In the wisdom of the Yijing (the Book of Changes), the Pig is used as an example of simplicity and honesty. From the eastern paradigm, simplicity is not a judgment on intelligence but actually a state of mind to aspire to. With its snout pointed to the ground, the Pig takes care of whatever is immediately in front of them with great reliability, tenderness and attention to detail. For this reason they have a reputation for being grounded, straightforward and domestic. In Chinese, the character for hog (豕) makes up the character for family (家). What satisfies the Pig most deeply is nurturing the immediate people and the needs before them. Within the larger zodiac wheel, the Pig represents bedtime, the first month of winter, and the time when life energy is ending or at its lowest point. Last month the Dog took us into the life stage before death: letting go. This month we go into death itself: the burial. When we enter our final resting place, it is a time of surrender and submission, when we should be gentle, honest, compassionate and grounded. Imagine a family preparing for bedtime. Activity is reduced, children get tucked into bed, comfort and quiet become the priority. Children tend to have elaborate bedtime rituals because they are in tune with the understanding that sleep is a form of death - that saying goodnight is another way of saying goodbye. This is an important time to tell your family members you love them, say your prayers and ask for protection. Yin Water is symbolized by clouds, mist and fog. Because it represents the smallest form of water, it is the element most synonymous with air. It embodies mutability, diversification, gentleness and occupies the realm of ideas and the intellect. In accordance with this time of sleep and hibernation, the greatest power of Yin Water is also hidden. Like humidity becoming absorbed into a wooden beam causing it to degenerate over time, Yin Water represents softness and expansion overcoming the hard and firm. Rigidity creates boundaries while the soft and small create omnipresence. Yin Water is difficult to see and touch. In its all-pervasive expansion, it generates evermore space. Omnipresence in its full expression leads us into the void and emptiness. Westerners tend to think of emptiness as absence and lack. In the eastern context, emptiness is the essential source of being. In Daoism the metaphor of bowls, baskets and barrels are essential. These objects represent strength on the outside with great receptivity at the core. Emptiness is an openness to life, universal energy and the source. Like death, it is a passing away from the personal you into the plural you. Death returns you to the void, which is the birthplace of multiplicity. 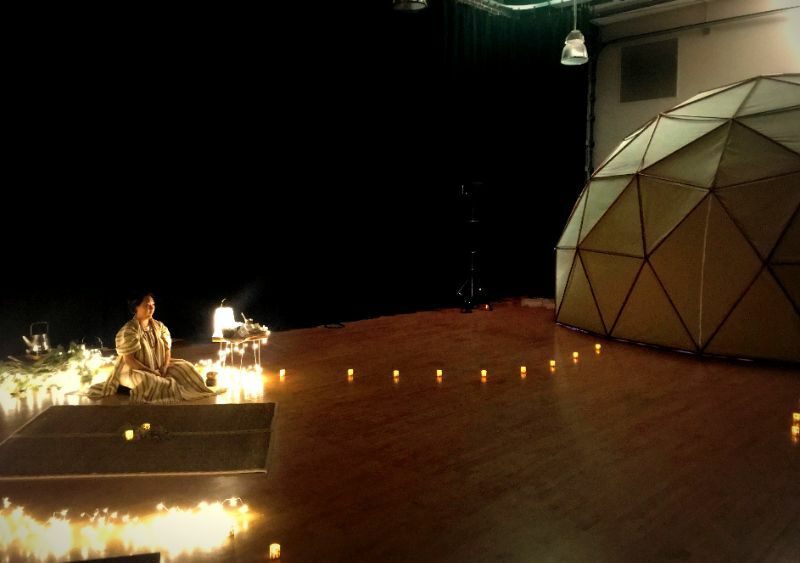 Together, the Pig and Yin Water show us the importance of emptiness and immediacy. Emptiness is also honesty, meaning nothing is separating you from the truth. You are in immediate connection with clear and straightforward reality. When death is present, we experience a time of considerable honesty. We take great tenderness and care when we bury our loved ones. Relationships take their simplest form. Death does not allow our correspondence with the divine to be too lofty or conceptual. It brings us down to the ordinary because it gives us perspective. What are the most important things in your life? Have you been good, kind and happy? Have you lived with dignity, gentleness, honesty? How have you treated your family? There is a Daoist quote that reads: “That which makes my life good, makes my death good also.” Death brings us into an awareness of immediacy - that you can find good, meaningful life under ordinary circumstances. This month asks you to reflect on how you have projected goodness in your immediate world, in the way you tidy your home, the way you dress yourself, how you talk to others and how you eat. Many people who are in tune with the suffering of the world are eager to attack the afflictions of society and bypass individual accountability. However, in order to solve the world’s problems, we must start with our own household. We can only give to the world what we are generating in our immediate world. Take a look at what you are contributing around you to know if you are furthering goodness or furthering chaos. If you start at home, the next step of benefiting the world will come naturally. The simplest way to reach immediacy is through your attention. Attention is the most prized and highly valued commodity of our times. From search engine advertising, infinite scrolling feeds, to click bait, the contest to own and occupy your attention is a multi-billion dollar industry that has created some of the most profitable corporations in the world. In this economy, your attention is the most expensive currency you own. This is why the practice of mindfulness and meditation is so important and relevant today. You must cultivate your attention so you can wield it with direction, care and intent, otherwise it will be bought. Why is cultivating your attention such a powerful act? At the core of your attention is emptiness. It is ultimate openness and receptivity. It is not filling the moment with your own desires, fantasies, or thoughts (or someone else’s). The true nature of mind is empty, though we rarely experience it as so. That is why every spiritual tradition has developed practices - be it prayer, meditation, visioning, trance or chanting - that are dedicated to this act. Emptiness is not a goal to be achieved that we schedule into the week. Meditation searches for ultimate immediacy, which is unity. The practice of cultivating your attention should permeate every moment of your daily life. When there is no difference between your inner and outer realities - that is emptiness. In our modern lives where accumulation and productivity are the measure of progress, we have to be reminded that one cannot get to emptiness through effort. Emptiness comes naturally from moments of solitude and stillness. Like muddy waters that become clear from being still - so will the mind. Death teaches us about reduction, which we prepare for with rest and relaxation. Water requires no effort in achieving a reflection, a symbol of the meditative state. Emptiness should be natural and immediate. Be the meditation, be the mantra - not the person doing it. Celebrating their new exhibition, Art and China after 1989, SFMOMA will be doing an opening party for their members. ANiMA will be the featured performance at this event and we are doing a full-hour set packed with visuals, costumes, dancing and new music. Enjoy cocktails, food, arts and crafts, as well as an exclusive preview of this highly anticipated and political exhibit of contemporary artists from China. If you don't already have a membership with SFMOMA, get one! Or split one with your friends - membership comes with free guest passes! 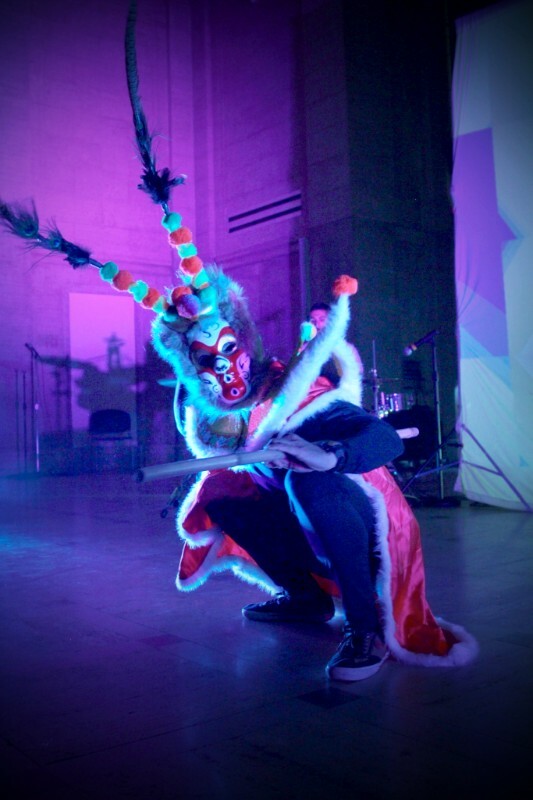 Pictures above are from our recent show at the Asian Art Museum, captured by Kristi Chan. "In this chamber there are no walls. 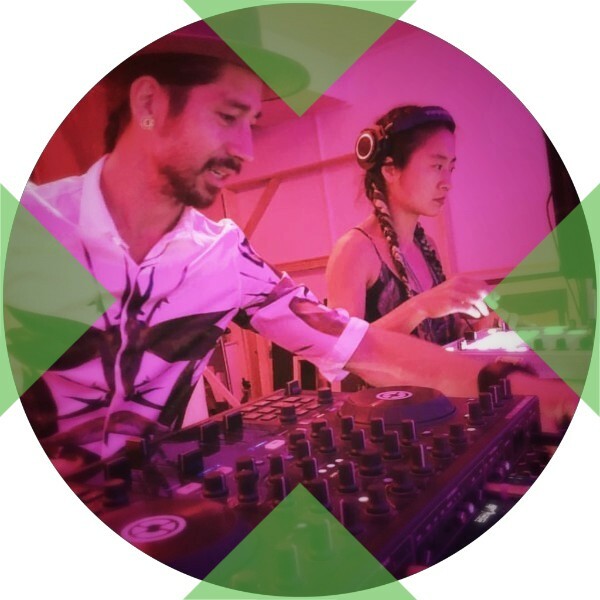 It is activated by movement and orchestrated by a time-traveling duo - Jyun Jyun and missTANGQ. Together they venture to ancient past and distant future, collecting dreams from far away lands in the form of song and dance. 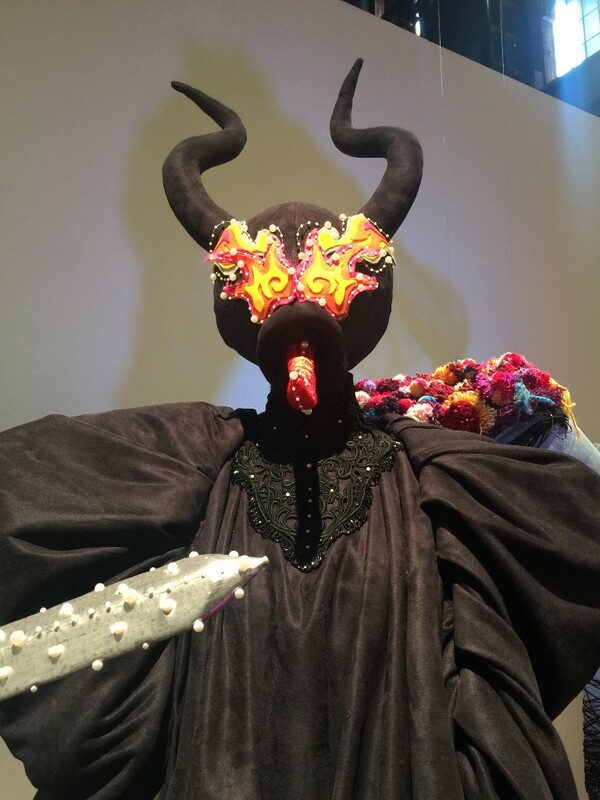 Using clandestine alchemical practices, they deliver these treasures into the present moment, serenading participants into a lucid dream-state of dance." We are the Dream Collectors. 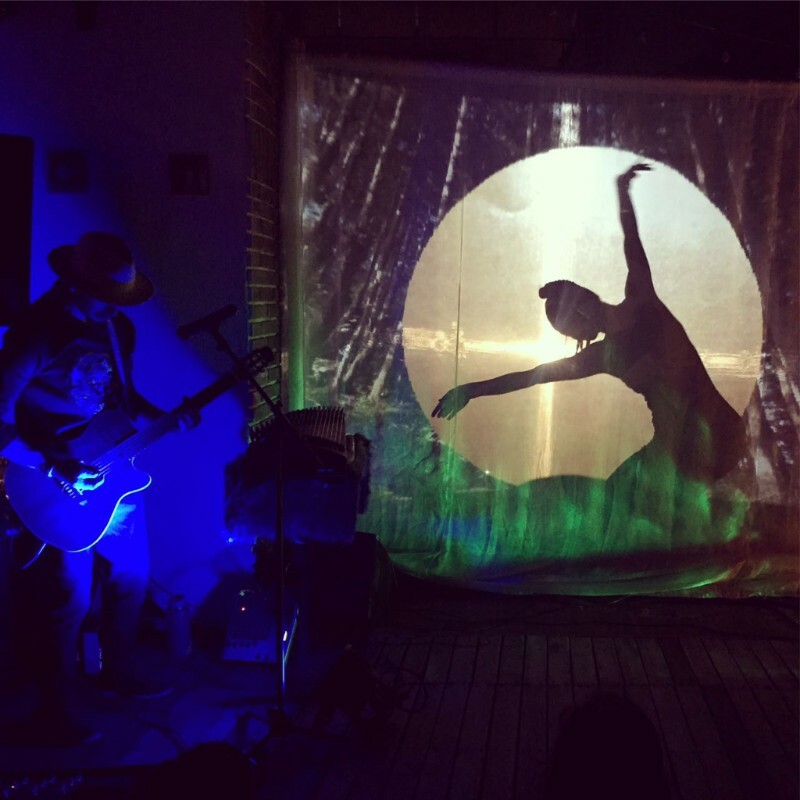 And we are partnering with The Glint Collective to bring an audio-visual performance to LA! Full of other-worldly characters and sensations to bring you into a state of wonder, imagination and wellness. The Incarnates is my first solo exhibition, which shows a retrospective of large-scale sculptures, mixed media wood prints, masks and animations. 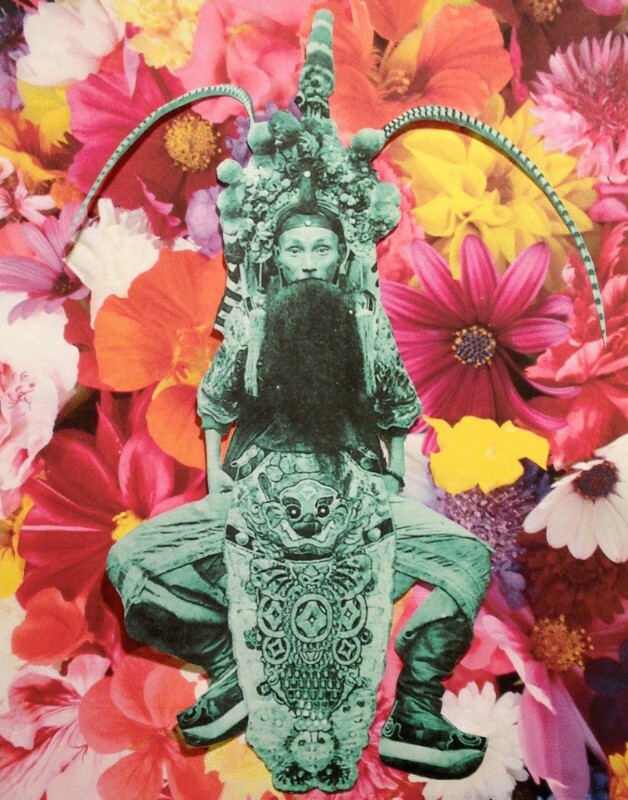 These pieces explore the transformative process of incarnation. Unconscious realms, dreamworlds, ancestral memories and hallucinations are formed into carnality, sexuality, and animality. Showing at CounterPulse's gallery space. 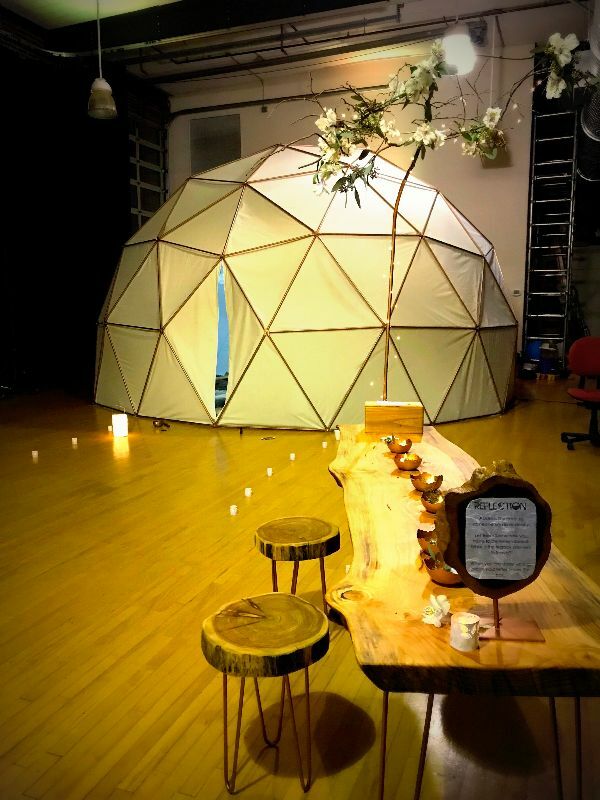 Being a performing arts venue that explores radical ways of expressing the human body, The Incarnates are in an evocative environment to come into flesh and bone. 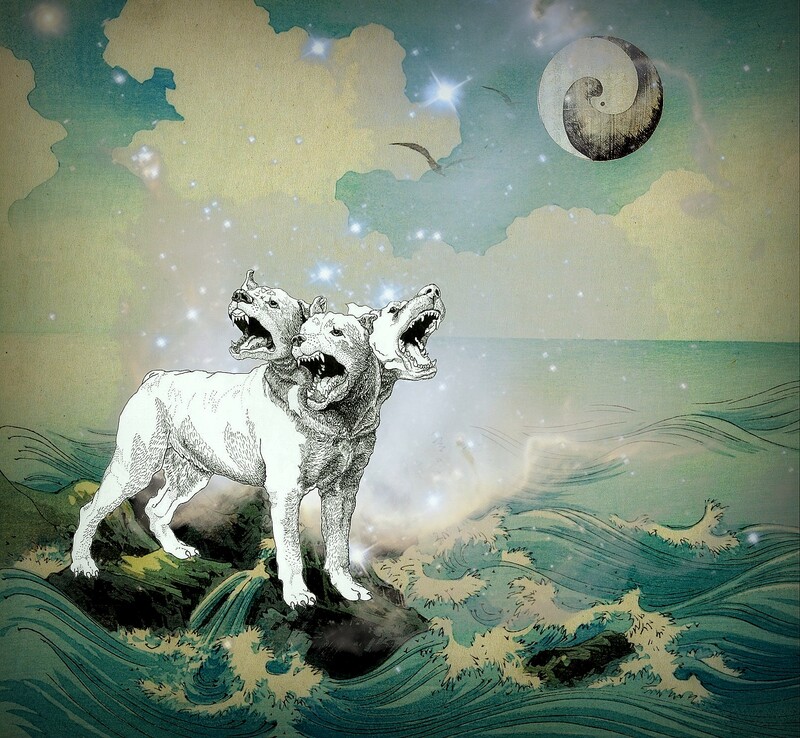 We have entered the month of the Yang Water Dog, lasting until November 6th in the Chinese lunisolar calendar. The 12 animals of the Chinese zodiac each rule a year, month, day and hour. We are currently in a Dog year and beginning the month of the Dog. This month is also colored by the qualities of Yang Water. During this time of autumn, life energy retreats for regeneration and we are transitioning to the end of the life cycle. After the months of harvest and abundance, we prepare for nature’s yang power (and our own) to go into decline. This is a time of organizing and sorting, making shrewd judgments about what will be stored for winter and releasing what is not needed. This month represents the life stage before death. We take inventory of what to keep, protect and prepare ourselves for the process of letting go. Yang Water is represented by a lake, the ocean, or any large body of water. Whenever water is amassed in a large quantity, it becomes a force for movement. The desire to move is Yang Water’s most prominent quality, otherwise it becomes stagnant water. Movement requires embracing change and ultimately letting go. Yang Water is here to create fluidity in our lives, undoing the ways we grasp, fall back on and adhere to old patterns. When we are finally ready to release our old selves, we are actively inviting in our own dying process. This willingness to transform takes immense courage. The Dog is the archetypal guardian, friend and warrior. The Dog can teach us how to exhibit the courage needed to face death. In this year of the Dog, we have been collectively sorting out and confronting the old structures of society that are reaching their extinction. We have been called to be ushers of the death process by expressing the qualities of the Dog: bravery and vigilance, honesty and loyalty, embodying both judge and protector. It is of utmost significance that in our eagerness to protect and defend against, we do not lose sight of what we are fighting for - the very things we want to grow and keep safe. We have to constantly ask ourselves, what are we the guardians of? Why is it worth defending? And most importantly, how are we keeping those aspects of ourselves alive? We must embody what we are protecting otherwise our battles are meaningless. Courage is letting go of selfishness and separateness. It is stepping beyond your personal doubts, hopes and fears. Courage is having the realization that you are resourceful enough to give to others, that there is no poverty capable of preventing you from basic kindness - only the scarcity of your mind set can do that. It is connecting to your fundamental source and richness so that generosity is an act of delight. Courage is letting go of toughness and a hardened heart. Growing a thick skin is not the kind of bravery we need right now. Courage is understanding that remaining soft and open amidst fear is true strength, which includes gentleness to yourself. A heart that is truly open has the capacity for all things: happiness and sadness, friendship and fear, celebration and suffering. This is a heart that is constantly breaking, which is precisely how the heart expands. In fact, protecting your heart from breaking is only forcing it to shrink. Only hearts that are available to the world are capable of breaking open. Courage is letting go of needing to compensate for our fears. It is cultivating transcendental security. By this I mean that you possess a sense of safety that comes from the soul, one that cannot be taken away from you. It is from this place that you are secure enough to make friends with fear. Bravery from a western context is based on a culture of being militant - the goal being invulnerability to fear and is thus fundamentally insecure. Transcendental security is a deep inclusion, a welcoming of all things including fear itself into our territory. Dogs rule territory and a truly courageous Dog is able to let go of personal territory and embrace a public one. It acknowledges that ownership does not exist and nothing can be possessed. If nothing belongs to you, then you have nothing to lose. This is where true courage is born. Courage is letting go of binary thinking. As protectors we must start seeing opposition not in terms of conflict, but as our source of inspiration. If you are anti-patriarchy, anti-capitalist and anti-oppression, then you must acknowledge that patriarchy, capitalism and oppression are your source of inspiration. As such, you should be attempting to understand it, study it, grasp its history and relationship to you, not just subscribe to slogans and dualistic rhetoric. To let go of anything, you must become friends with it. The enlightened Dog shows us how to become a spiritual friend. Whatever we suppress, avoid and attempt to control will only manifest and grow. Fear is a completely natural part of human and mammalian nature. If we do not want fear to rule us, we cannot be in conflict with any essential part of ourselves. If we become our own spiritual friends, we can relate to the world from our vulnerability and our tender hearts. It is only through that place that we truly let anything go. Do not confuse the word friend with friendliness. A true friend will also know when to be tough, when to push, and even when a situation calls for violent defense. A friend always does and shows you what is needed. Sometimes letting go requires severing from the blade of compassion, but never from a place of compulsive or impulsive aggression. We use the energy of Yang Water to move and cleanse what needs to die, to become fertilizer for our transition to winter. We keep safe the things we want alive by embodying and living them out. Remember that we are our sisters’ protectors and we are our brothers’ keepers. We acknowledge that when we do harm, we do harm to ourselves because we are not separate in ultimate reality. The lineage of trauma is multidirectional, moving historically and inside/out. This month calls us to actively invite the death process in, to move through what no longer serves us. This means that we practice courage to ultimately let go, to heal. Our goal is to restore friendship with ourselves and all sentient beings. Our hearts must be open, they must break, let go and forgive. The tremendous and revolutionary courage required to do this will birth a new vision when spring returns. Turns out some ancestors have tentacles. 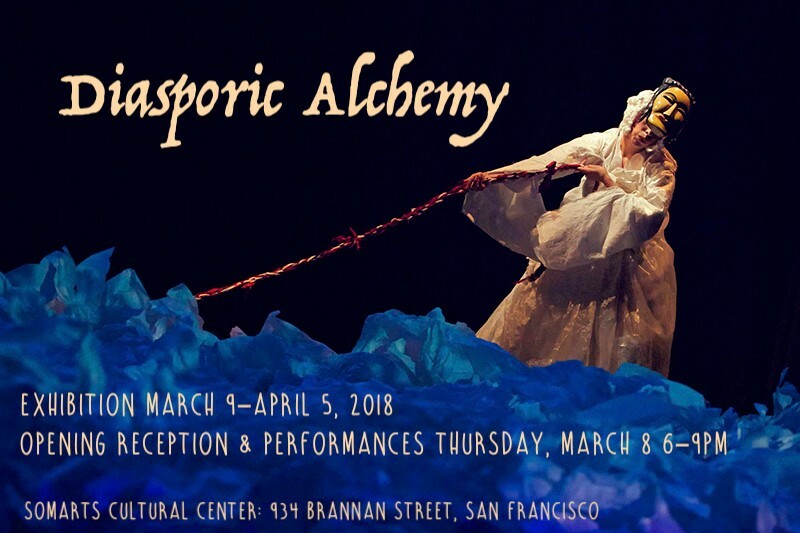 Come visit the oceanic ghosts in the immersive installation that my dear friend and fellow artist Kristi Chan and I are creating for the Día de los Muertos Exhibition. There will be lanterns and shadows in orbit, animations and music, and as you can tell by my process shots - lots of tentacles. More info and RSVP here. Purchase your sliding scale tickets in advance - this is one of their most popular shows of the year! 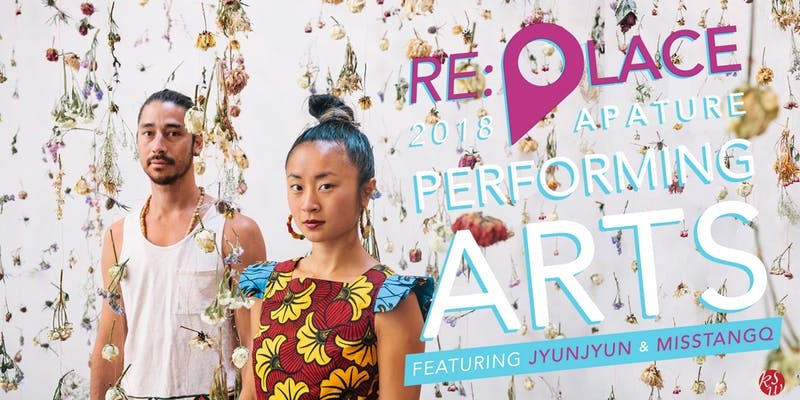 APAture is Kearny Street Workshop’s annual multidisciplinary arts festival and this year we're very honored to be the featured performing artists! 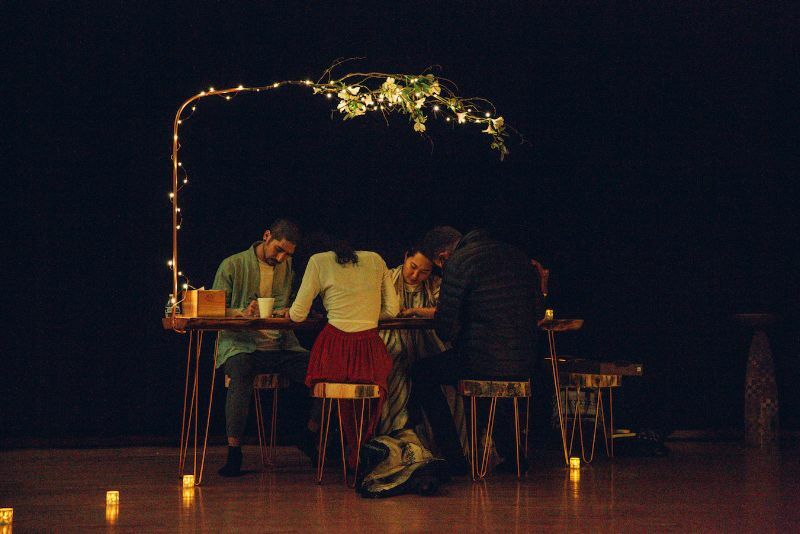 This year they've asked artists to explore ‘place,’ including: displacement, reclaiming space, relationship or orientation to place, movement and migration. 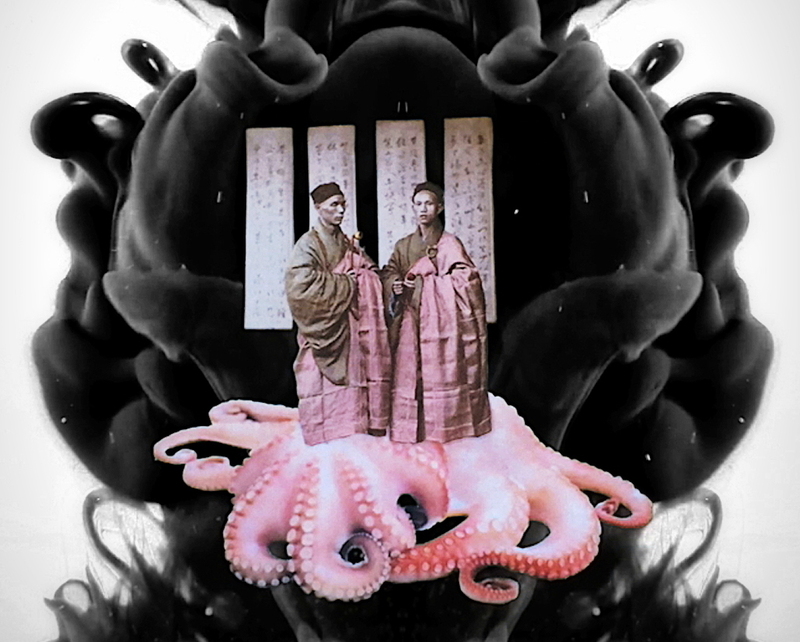 Come see a very special edition of the ANiMA show, co-presented by the Asian Art Museum. More information and sliding scale tickets here. 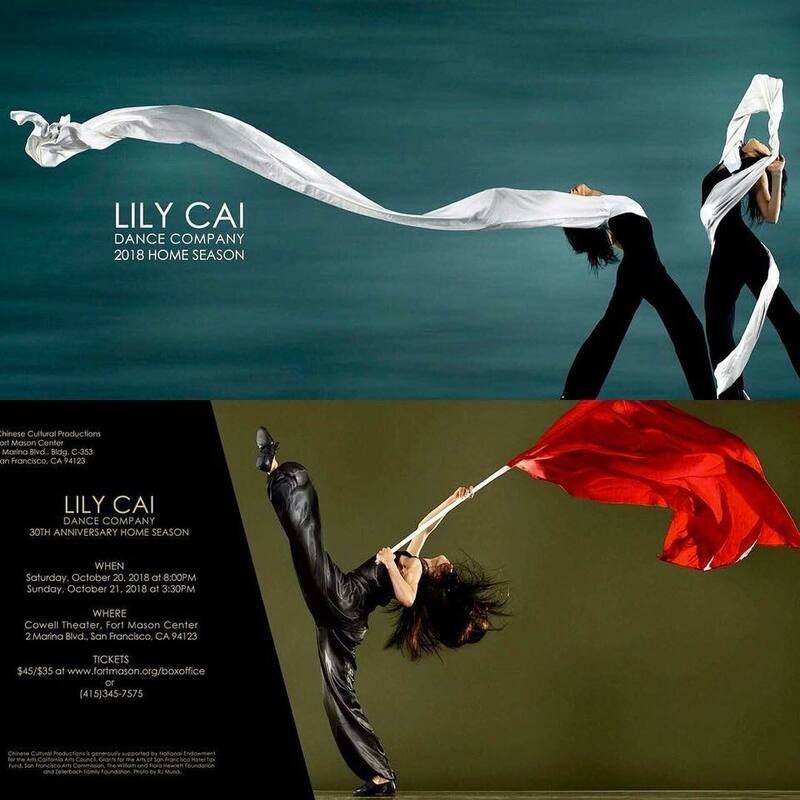 I'm so thrilled to be part of Lily Cai Dance Company’s 30th anniversary home season show! It has been both incredibly rewarding as well as physically and mentally challenging learning this unique technique and choreography. It is ultimately so inspiring to practice with my teacher who is celebrating 30 years of turning her craft into gold. This year's program titled “Red Typhoon” features pieces exploring the effects of the Cultural Revolution on the women of China. Lily Cai transforms traditional Chinese dance styles into contemporary, cinematic and stunning works of art. You will be very sorry to miss this special experience - get your tickets! We have entered the month of the Yin Metal Rooster, lasting until October 6th in the Chinese lunisolar calendar. The 12 animals of the Chinese zodiac each rule a year, month, day and hour. We are currently in a Dog year and beginning the month of the Rooster. This month is also colored by the qualities of Yin Metal. The ancient character for the Rooster totem is the wine gourd. It is a symbol of celebration, joy and appreciation. The Rooster curates beauty with its sharp beak, while speaking boldly through bright displays and spectacle. When we participate in the rituals of revelry making, we become one with reality. When we play music, talk-story, sing and dance, we are in the moment, invoking magic through communion. With this richness in your life, you have integrated the states of being and doing, work and play, effort and joy. Hence this sign represents the life stage of retirement. Yin Metal is symbolized by precious stones and jewelry. It embodies the pursuit of beauty through refinement. Yin Metal is sensitive and highly conductive, thus it has the power to bring divine messages down to earth. Yin Metal rules all things relating to adornment and formality, through dress, conduct, customs and presentation - the elements for creating ritual. 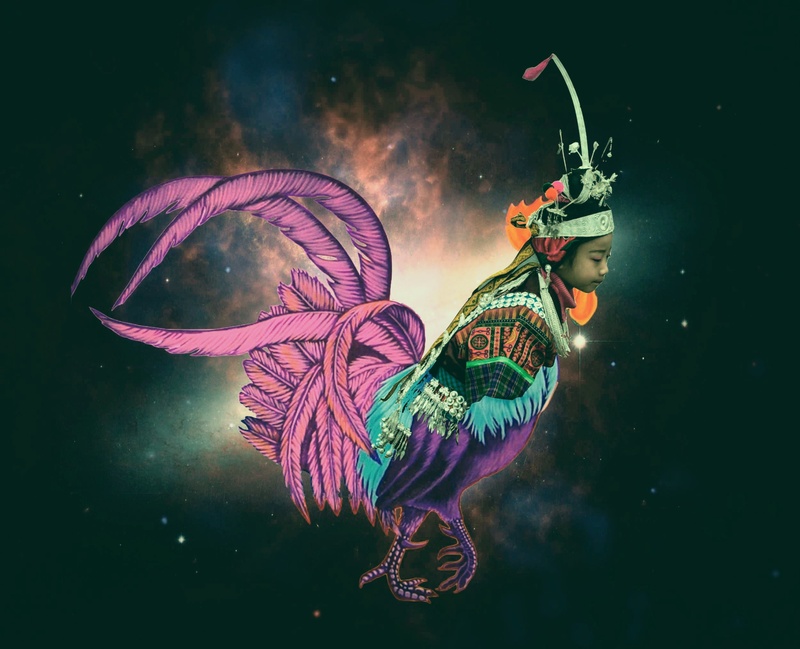 Yin Metal is the Rooster’s native element, making this month the archetypal Rooster month. The Rooster marries vision with practicality. 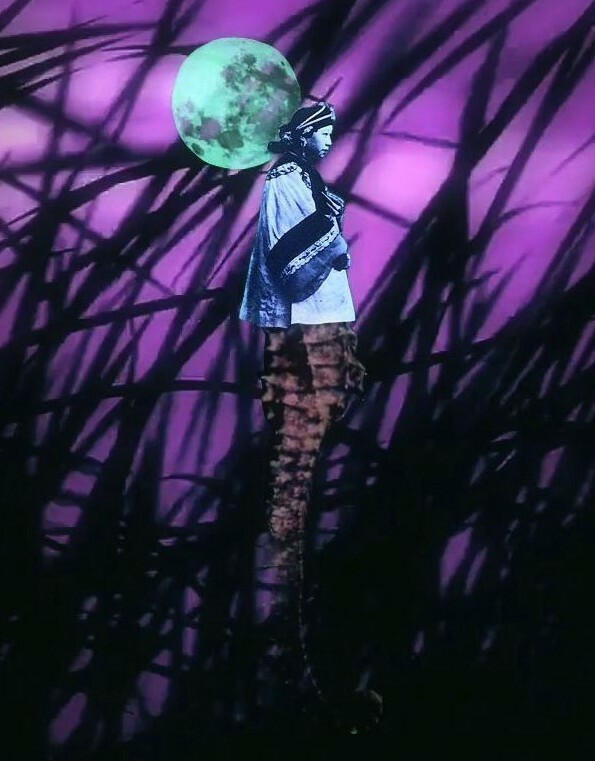 In this way it exemplifies the responsibility of the artist, which is to connect people with their reality. For the Rooster, career, lifestyle and creativity are blended together in an expression of functional beauty. It understands that true magic is being with the ordinary. Our most important rituals lie in the details of our personal life - how we eat, dress, socialize and organize our environment. The Yin Metal Rooster demonstrates that the source of all magic is grounded in reality. Every living quality contains the principle of magic because something real is taking place in everything. The true nature of reality is the greatest mystery. It cannot be described, named or identified. It can only be experienced through unity with it. Magic is everywhere, all the time. It does not reside in special powers. All we have to do to contact magic is cultivate our availability and attention for what is already present. We are taught to think that magic is having unnatural power over the natural world. This is a neocolonialist’s definition of magic. You cannot own the power of magic because it does not belong to anyone. It is not the ability to conquer elements or natural laws, such as flying or turning fire into ice. True magic is communicating with the element so it becomes one with you. Magic is being with Dao in its infinite fluidity. It is the discovery of the primordial wisdom of existence as it is, which is innately available to everyone. Everyone has an equal chance to be with Dao, and we should be wary of those that claim special ownership or exclusive powers over it. Wisdom does not lie in esoteric practices - these are just techniques. Magic is not reserved only for those that practice certain skills, such as an alchemist, ascetic, priest or diviner. The power of magic is not something you cultivate separately from reality. It is a reunification with wisdom, which can only be found in our everyday mundane and domestic affairs. When we tap into this power, we realize that there is no fundamental separation between us and the world because we are not separate from the power of things as they are. How can you heighten your ability to invoke magic and relate profoundly to reality? Tenderness, vulnerability, bravery, sensitivity - these qualities allow you to live in the world without deception. These qualities open us up to communicating with our phenomenal world - plainly, simply and gently. Depth of clarity is achieved by making yourself more available and attentive to the world around you. You contact magic also by making your world more available to others, by creating harmony in yourself and your environment. We do this externally by ordering our physical environment. We make sacred spaces by giving them the proper attention, through cleaning, organizing and de-cluttering. You create more availability for magic by infusing your space with gentleness, precision and attention to detail. We can do this internally by invoking oneness in our bodies, by having a good relationship to our personal habits and how we take care of ourselves. Tidying up our environment and our daily details requires great attentiveness and has nothing to do with convenience. How you arrange your space, how you dress, walk, rest and feed your body can be imbued with dignity and grace. It is an expression of reverence for life and reverence for others. In Rooster terms, the concept of retirement should be interpreted as a type of relaxation, not casualness. Relaxation is about loosening the ways we grasp and fight with life, softening into a respect for reality in all its complexity and wisdom. Casualness on the other hand is a type of selfish laziness, a by-product of materialism. It is a statement that one’s comfort and convenience is more important than its impact on others. Modern life is rife with gadgets and products that are meant to make our personal lives artificially easier, yet have enormous far-reaching consequences, robbing resources, labor and time from other people and the environment. Yin Metal reminds us that we need to remember the role of formality in the practice of invoking magic. Ritual and traditions are full of formality. They push us out of our own comfort for the purpose of communion, as a way of giving to others. The structure that formality provides also prevents the mind from wandering, from straying away from reality. People want to be spiritual, yet often scoff at formalities. It is important to remember that formality is the path, not the final end product. The formalness of the actions are not as important as the reverence, humility and discipline that is generated from them. Being one with magic requires giving up artifice. We must take inventory of the comforts, gratifications, arbitrary actions and ambitions that attach us to the supply and demand of civilization. These are devices that separate us from our innate wisdom. We may feel lost and alienated living in the midst of these pressures, yet we must remind ourselves that reunification with magic is always available, right where we are. Come celebrate with me! I will be part of a talented lineup of all womxn/queer artists, beat makers and DJ’s at The Well, a Chinese tea and kava lounge. Oh, and its right around b-day, so come say hi, toast with some kava and dance with me! 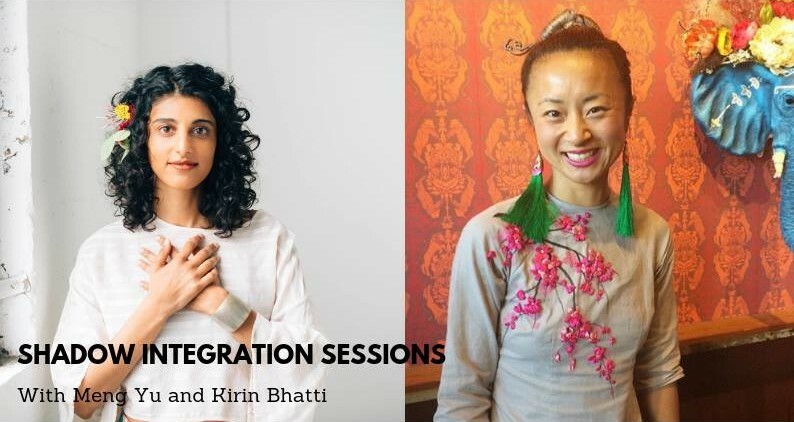 So excited to announce that I will be teaming up with Portland based healer Kirin Bhatti to offer shadow integration sessions in Oakland - for one day only on Sept 22nd! We will be providing insight and tools on how to work with and transform aspects of your shadow self that are creating blocks, frustration and confusion. Don't miss this unique opportunity to work with both of us in one sitting! I will be offering divination and palm analysis and Kirin will be providing energy work and therapeutic counseling. Sessions are 45 min long, sliding scale $50-95. They will take place in an intimate outdoor setting. Slots are first come first serve. Sign up here. You can learn more about Kirin and the sessions we are offering on the Facebook page. I will be DJing a *silent disco party* at Refuge Outdoor Festival on September 29th in Carnation, WA. 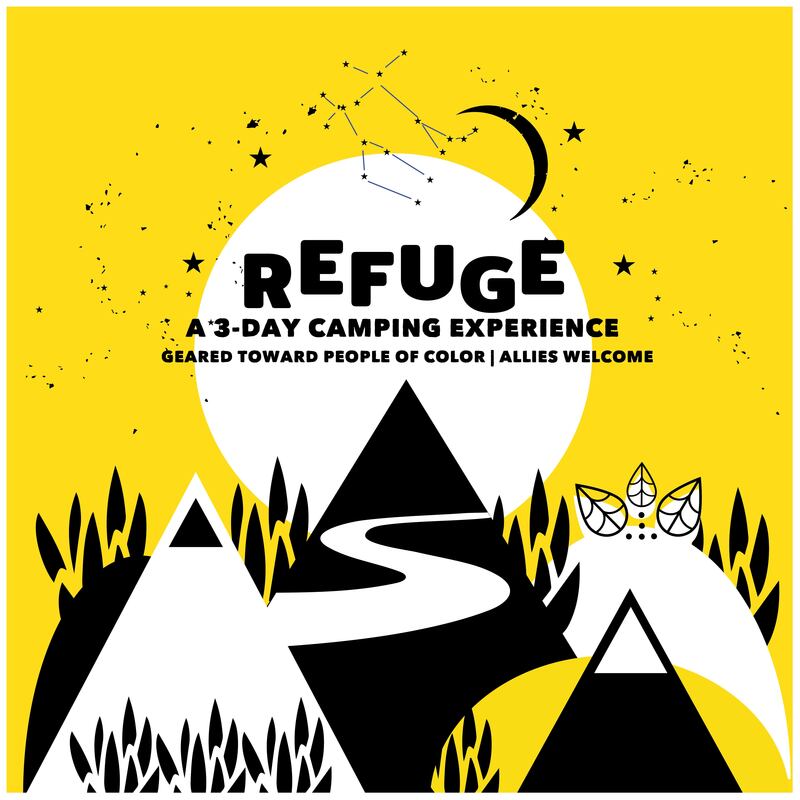 This festival is a three day camping experience that brings people of color together through outdoor recreation with music and art. So stoked to be part of this event! 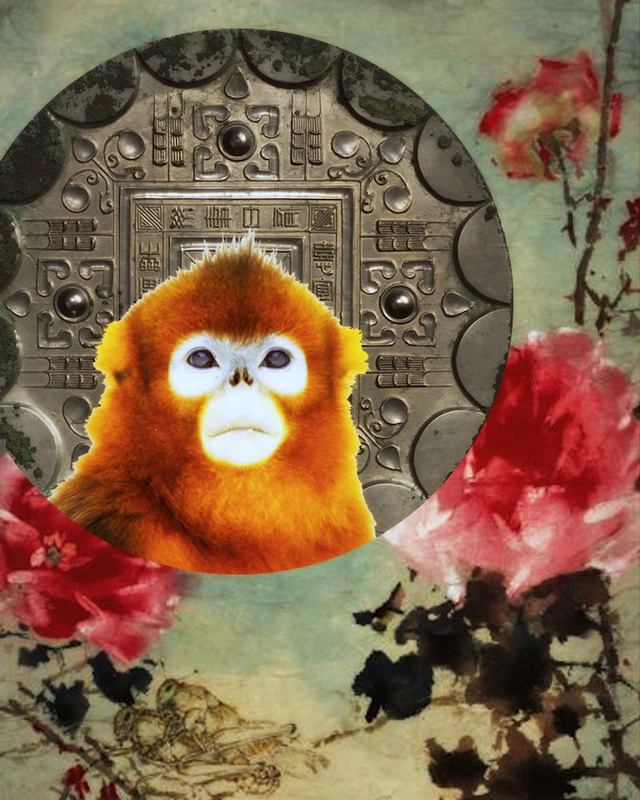 We have entered the month of the Yang Metal Monkey, lasting until September 6th in the Chinese lunisolar calendar. The 12 animals of the Chinese zodiac each rule a year, month, day and hour. We are currently in a Dog year and beginning the month of the Monkey. This month is also colored by the qualities of Yang Metal. What is intuition? How do we get in touch with it and enhance it? It is difficult to know whether a message is coming truly from our intuition or from self-deception, subconscious desires or conditioned beliefs. Thus, the most important skill to harness when we are developing our intuition is discernment. Discernment is the practice of refining and polishing our perception to get clear on reality. It allows us see things as they are, rather than be confused by what we wish them to be or what we fear they are not. We have to get very curious with ourselves and ask, can I distinguish between belief and knowledge? What is the difference between discrimination and judgment? The first step in any spiritual practice is to have wonder, to be uncertain and to ask questions. Yang Metal is the hardest of elements formed deep inside the earth. In its raw form, it has the capacity for vigorous heating, tempering and hammering. Like a sword that gets perfected through masterful blacksmithing, a personality becomes potent through the process of heavy refinement. When the toughness of metal becomes refined, it cuts through like an ax, and thus represents discernment. The ancient pictograph for the Monkey totem is 申, which means to stretch. The Monkey archetype represents stretching beyond ourselves, going past our extremes and boundaries. It symbolizes a time in the life cycle when we exceed our limitations and categories, because to the Monkey even our definitions and identity are a form of imprisonment. The Monkey is a master escape artist, fueled by the obstacle course. Because the Monkey combines their high mental capacity with physical versatility, they are known for dexterity and skill. One hones their technique by navigating hurdles and without enough obstacles, the Monkey will invent their own. The vigilance of the Monkey is often powered by complications of their own design, which can border on neurosis. Monkeys are driven by variety with an insatiable appetite to innovate, never wanting to swing from the same branch in the same way twice. Their curiosity for life allows them to entertain any possibility, and as a result their creativity knows no end. They are never one to hesitate when upending the old to invent something new. Thus in the zodiac wheel, they represent the Revolutionary. We often conflate revolution with rebellion, but a true revolutionary is not simply reactionary; its not enough to be defined by what you reject. A revolutionary is at their core a non-conformist, not clinging to patterns and dogma of any kind. By questioning these trappings of relating to the world, the revolutionary seeks to awaken and follow an inner urge, which is about being in the world. They are nurtured by a deep internal drive that others cannot sense, fueled by an endless curiosity. Discernment is motivated by an essential inquisitiveness into everything. Discrimination on the other hand, is closed and rigid, shut down by beliefs and caged by ideology. The intuitive revolutionary cultivates discernment, not bias. This month is about creating an inner revolution. We are graduating from being an improviser with change to becoming the force of change - the power to create and direct disruption. In order to accomplish this, we have to question our myths of harmony. In ecology, the myth of harmony chooses to view nature from a narrow lens by rejecting the realities of nature that are displeasing, violent and ugly. If you observe the history of our planet and include the invasive, catastrophic forces that have formed geologic ages, one can say nature is actually ruled by chaos, instability, disturbance and ultimately change. The western infatuation with a perfectly balanced and holistic ecosystem presupposes that when things go awry, nature is something we’ve destroyed or something to be saved. This thinking comes from the same model that believes we can objectify and dominate nature. However, if we do not see disruption (and hence ourselves) as separate from nature, then we recognize our participation and responsibility in shaping the trajectory of change. Change doesn’t happen to us - we are change itself. We need a paradigm that embraces both balance and flux. There is a deeper harmony in a model that accepts nature’s randomness, violence and upheavals and sees the enduring resilience within it. This is called an ecology of resilience. In recognizing resiliency within ourselves, we cannot shy away from the reality of change in our lives, including the suffering it brings. Wildfires burn, financial systems collapse, ecosystems degenerate, hearts break, loved ones die, all of which are a part of life. When we embrace change, we inherently test our creativity. This month asks us, In what ways to do we expect outcomes of harmony and fairness, recoiling from suffering because we fear an imperfect life? When we turn away from challenge, we turn away from our creativity summoning us. Our creativity can call us through parenting, illness, a new relationship, poverty, aging - any situation that stretches us beyond how we currently define our selves. The gift of 申 (stretching) is that we uncover the buried reality that is our own inherent vastness. We live in a civilization that does not honor the dignity and value of human life. Unprovoked violence and aggression is the hallmark of a society plagued by deep mental and spiritual illness. When this basic truth of life's inherent worth is constantly disregarded and violated, we become a culture of insanity. In this climate, our fears and anxieties harden and become the new reality. How does the intuitive revolutionary question this norm? By emanating health and exuding safety, we actually create more sanity. This requires great discernment. Are my daily choices healthy? How do I embody courage in my life? We must begin from these questions in order to be of service to others. If we sacrifice our own sanity, health, curiosity and reverence for life, we are only perpetuating the violence and aggression we seek to upend. We cannot degrade our own worthiness in the struggle to uplift others. We show that we value life by exuding self-respect. There are not only victims and oppressors in change. If we are change itself then every aspect of our mundane existence shapes the course of the larger ecosystem. Every choice we make, down to the most minute ways we walk and interact in the world, matters in the ecosystem of resilience. 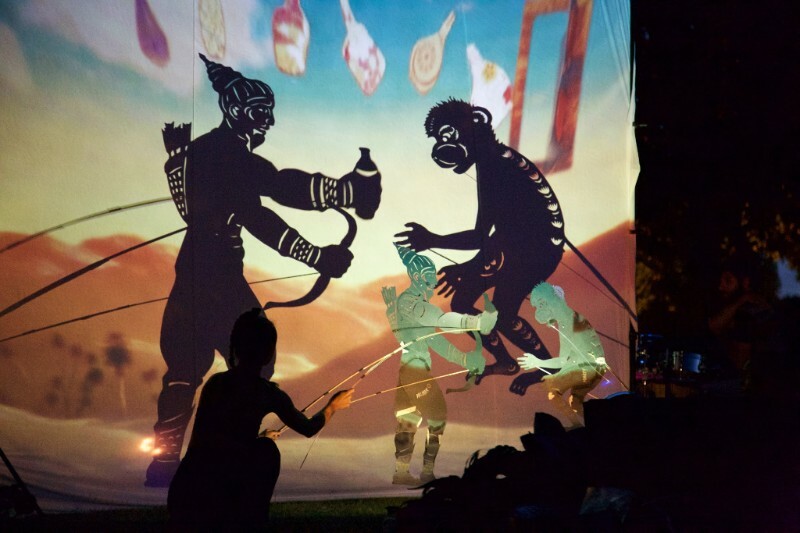 Set against the backdrop of historic Duwamish Waterway Park and Cal Anderson Park, ANiMA celebrates ancestry through live music, shadow dancing, animations, mythology, and multi-media storytelling. Brought to you by the Seattle Office of Arts and Culture. I will be available for in-person readings in Seattle for the month of August! Interested in reading monthly forecasts of the past? You can find the newsletter archive here. We have entered the month of the Yin Earth Sheep, lasting until August 6th in the Chinese lunisolar calendar. The 12 animals of the Chinese zodiac each rule a year, month, day and hour. We are currently in a Dog year and beginning the month of the Sheep. This month is also colored by the qualities of Yin Earth. After the summer solstice, darkness begins to reassert itself. All cycles have a zenith and nadir, a rise and decline. 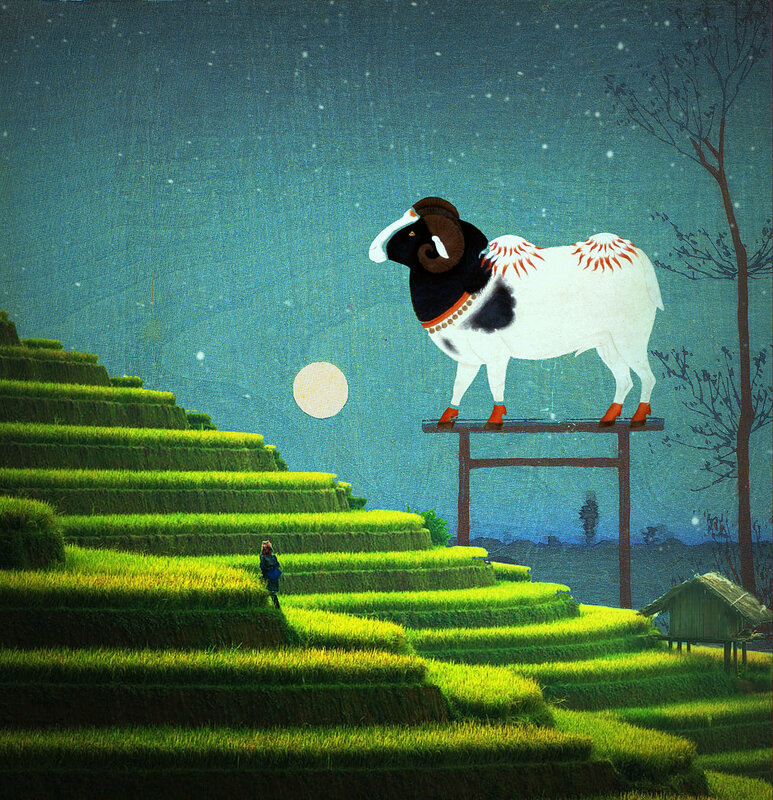 In Chinese astrology, this time is characterized by the totem of Sheep/Goat/Ram, or the character wei 未. After reaching the peak, whether it is the height of summer or the heat of midday, we need to rest and enjoy the fruits of our labor. Wei represents the time of day for napping and the third summer month, when yang energy begins its decline. Receptivity is the energetic pattern of the sheep animal. The lessons of this time lie in retreat, withdrawing and concealment. Wei represents the wisdom of recharging your body, mind and spirit. Even during times of prosperity it is important to give yourself a break. The hidden principle of retreat is to withdraw ourselves and cultivate humbleness. In our productivity and outcome-driven world, we shun retreat. But knowing when to withdraw is sign of true strength. Wei is tender, patient and gentle, yet it exhibits endurance and resolve on tough rocky mountains. Yin earth sheep accentuates the steadiness of wei, teaching us to respect geologic time. To stand strong on a mountain, you must be like a mountain - one must move slowly rather than impulsively. Therefore, this month we are learning the power of slowing down. A mountain is a formidable mass that takes eons to form. All who come across it, be it a river or clouds or human civilization, must humble themselves before it. What is created in a moment can easily be wiped out, but that which has been cultivated through time cannot easily be broken. Another aspect of yin earth is generosity. We are called to meditate on the fact that all things are accepted by the earth: life and death, good and evil. Everything we have come to know is given the opportunity to be supported by the earth, to stand and rest and lay on the ground we share. The ground is low to remind us of our humility. Reflect on the fact that when you make yourself low, all things come to you. This is the power of receptivity: the subtle study of non-action as a way of attaining real meaning in your life. There is a lot of buzz around the concept of manifestation. We all want to know how to actively create what we want in our life. It is empowering to believe that we can wield the magician’s wand, that the secrets of magic are spelled out through the laws of attraction. Although attractive forces do exist in nature, wielding their power requires a relationship of receptivity, not dominance. Our energies are wasted if we attempt to master these forces to bend to our will. Our true power lies in mastering our orientation to life so that our will is in proper alignment. Rather than commanding our life to give us what we want, we must first listen to what life is asking from us. An important thing to remember in the art of manifestation is that a calling calls you. Thus, the first step to manifestation is deep listening. Before we can listen however, we must humble the self. Humility is divesting in self-importance. Humility is also the opposite of excess. In a mass culture where excess is not only the norm but celebrated, we must create our own measurements for excess. The science of managing our desires, our will and self-importance are embedded in the theme of receptivity. Receptivity is not just about being passive and submitting to whatever life hands you. It is the first step in the sequence of developing right action. Receptivity is the primary difference between impulse and improvisation. Impulse is generated solely from the self outputting energy, whereas improvisation comes from listening, an invitation for energy to move through you.The fruit of improvisation is a dance of co-creation, where your personal power and the subtle currents of your life are in synchronization. This requires locating where you do and do not have power, so you can avoid arbitrary action. One place we lose power is how we orient to the future - the place we get trapped by the promise of manifestation. The future is an illusion and does not exist. The future state is always a state of fantasy, delusion and projection. When we attempt to manifest by projecting into the future, we are at a loss. The present is where true intelligence lies, which is why mastering improvisation takes precedence in manifestation. This does not mean we cannot be prescient. We do this by studying time and change (the Yi Jing is translated as The Book of Changes). By studying nature’s cycles we can predict what comes next, but even this is simply a projection. The Yin Earth Sheep month calls us to deal with realities, not potentials. We can only ever know the situation around us - the forces behind them are a mystery we must respect with genuine humility for what we do not know. This opens us up to the course of our lives as it spontaneously takes shape, which is the Daoist definition of destiny. For western civilization, the primary paradigm of time is a narrative of progress. It is a future orientation that has a predisposition for erasing history, placing power on the individual to manifest destiny. If we are to decolonize our understanding of manifestation, we must look to alternative models of time. In eastern calendar systems, the individual is treated as a segment in a larger lineage, a component of a dynamically interwoven whole. Cycles of nature are ritualized, reminding us of our participation in the greater cosmic order. The gift that alternative calendars provides us is guidance on how to navigate the present moment in its multi-dimensional complexity. This includes insight into our greater origins, including the karmic winds of the past and ancestral forces, so that we can make informed choices that incorporate fate resolution. From this perspective, we act not from self-interest, but as a fractal in a greater derivation. 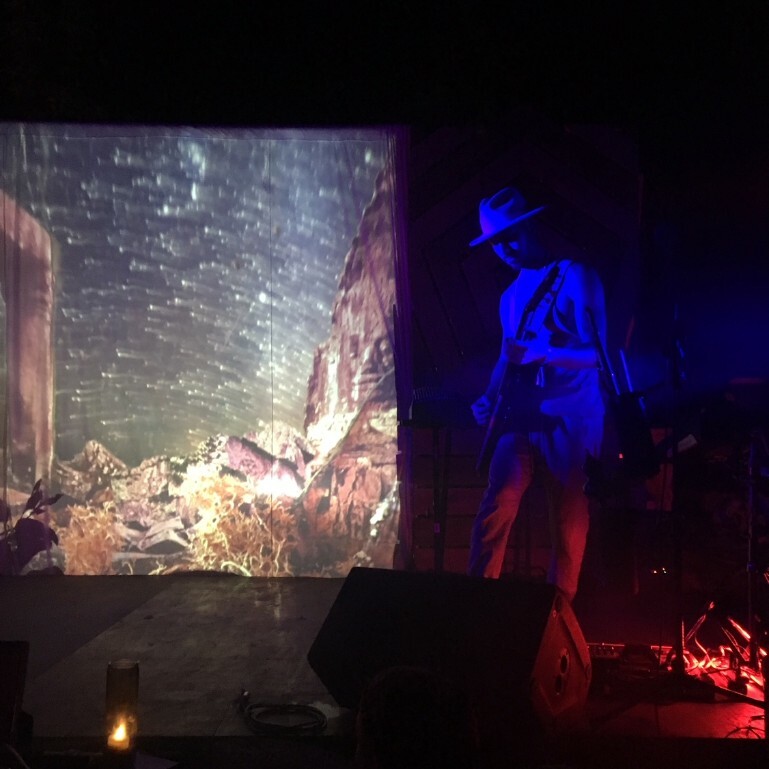 New songs, new visuals and new collaborators! A fresh and electrifying iteration that brings the spirit of nature to life. Stay tuned for details. We have entered the month of the Yang Earth Horse, lasting until July 6th in the Chinese lunisolar calendar. The 12 animals of the Chinese zodiac each rule a year, month, day and hour. We are currently in a Dog year and beginning the month of the Horse. This month is also colored by the qualities of Yang Earth. The Horse in the Chinese calendar represents the time of noon and the second month of summer when the sun has reached its peak, the weather is hot and the fruits are full, encapsulated by the summer solstice. We can look at what is occurring on the earth at this time as a macrocosm of what is happening in the rhythm of our bodies. Our internal yang qi has risen out of the deepest energetic levels of the body and is being expressed externally, pushed out into the outermost layers. The time when the Horse reigns is symbolized by yang qi fully expressed and running without rest, an image of a person fulfilling a powerful responsibility. The Horse is an animal of great endurance and power, representing the possibility of liberation through work and finding freedom through fulfilling one’s duty. When wild horses run through the plains, although they exert a considerable amount of strength and energy, they do so with great exhilaration, self-determination and dignity. 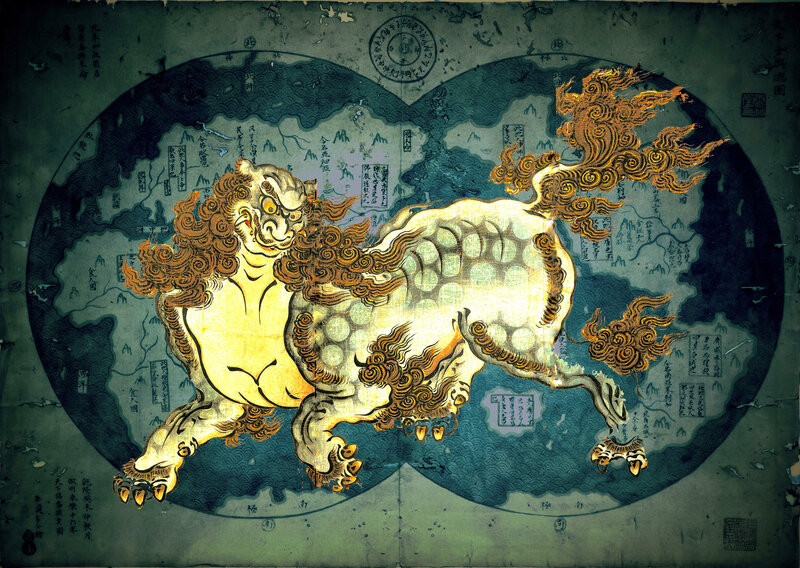 The Horse rules the yang aspect in the House of Sexuality and is one of four energetically bisexual animals in the Chinese zodiac, meaning it symbolizes the yang energy being expressed on the outside that is driven by a wide, gentle, open sky within. The Horse exhibits great vigor and stamina in acceleration, opening into its soft yin nature at rest. This totem encapsulates the image of a wild and fierce tenderness. Yang Earth is represented by a massive rock or mountain, and its qualities are embodied by this immovable and self-sufficient presence. It also represents the center of the earth or the center of any object, reminding us that this is a time of anchoring to your purpose and integrity. Yang Earth teaches us to abandon outside motives, to move only from our virile center, our core of clarity. We are reminded of the pleasure in obeying this centrifugal force, around which all things revolve. Everyone must work in order to feed themselves in this life. Because we have come here to participate in the exchange of life energy, we are here to work and our lives demand it from us. However, there is great beauty in our life’s work. In addition to providing to feed our bodies, everyone also has work to do from their essential nature. Life acquires meaning when we face the conflict between our desires and reality, freedom and limitations. Our work is to create synthesis of these polarized aspects of life. We gain nobility of spirit through fulfilling our duty, and we learn that following this responsibility leads us to the true spontaneous energy of our lives. Our ancestors are a symbol of our responsibility in this lifetime. Through them, we are born and given freedom. Through them, our lives have context, history, meaning. We are the karma and creative manifestation of energies that began long before our time. This month we are called to mature our understanding of freedom into one that creates true liberation - a generous freedom, one that liberates others. We have just gone through the month of rebirth (May, the Snake) symbolized by the right of passage into adulthood. We now enter the stage where we are able to carry the heavy burden of duty and responsibility. Freedom from the perspective of a child is doing whatever you want whenever you want, and being exempt from obligation. 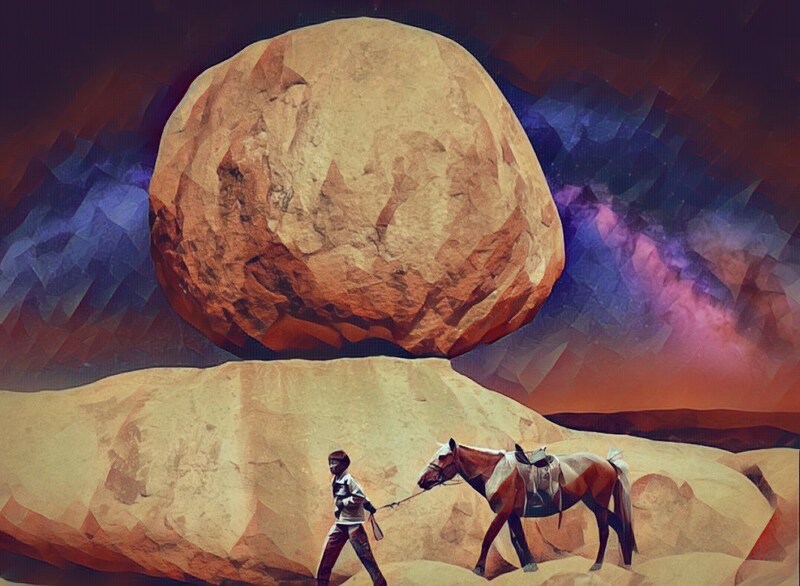 A mature understanding of liberation is aligning your will with deeper purpose, using your creativity through the right avenues and understanding your limitations. In this way, your life energy will not be wasted on what is not meant for you, nor will you fail to fulfill what is. This is the definition of responsibility: the restriction that gives you form yet opens you like a bowl, making you useful. A spiritual practice is the outside order that a personality needs. Without the restriction holding you together, there is no sense of wholeness or functionality and you cannot be of service. As a society, one of the great responsibilities of this time is the proper development of healthy masculinity in men, women, and all genders regardless of your identity. Energetically, the sexual archetype of the Horse represents the copulation of the feminine and masculine within ourselves. We cannot address a culture of toxic masculinity without also addressing toxic femininity, which is too often left out of the conversation. This manifests in the desire to play the passive role (for instance defaulting to being easy-going and likable) and using guilt and shame as a tool for control. Toxic femininity invites dominance through submission by always identifying oneself as the martyr or the victim. By avoiding responsibility and never being accountable, one can escape unchallenged while wielding the weapon of guilt and the entitlement of suffering. It is of utmost importance that we engage in the deep responsibility of working on these aspects of ourselves so that we do not participate in the perversion of the masculine or feminine forces in our culture. The energies we transfer and abandon are recycled and processed by larger society. For example, women have traditionally carried the immense weight of society’s neglected emotional labor, and men are left with the burden of society’s repressed rage. We must carry our own workload or someone else will have to take on the responsibility for us. True liberation comes from fulfilling our obligations, not escaping them. 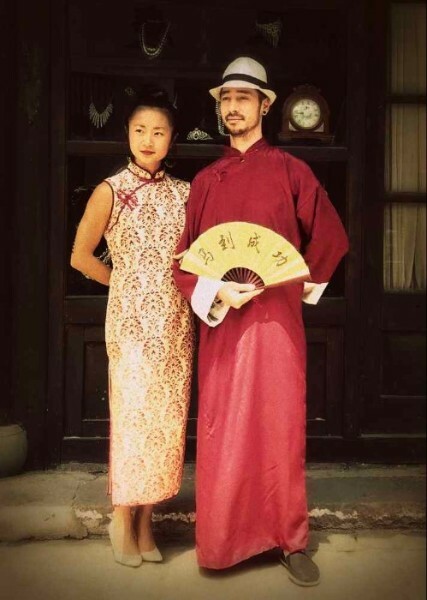 This month will require a marriage of our internal yin yang forces through responsible action, so that we may embody a larger span of healthy masculinity and femininity. To be liberated is to possess the great privilege of choice: having the capacity to consciously act from a broad range of human expression at the right moment. Liberation is a great task. It is the practice of listening deeply to the moment, to hearing whether it asks for roaring ferocity or quiet tenderness. The Yang Earth Horse reminds us that we can fulfill this task with great dedication and joy, expressing the self with majesty and delight. My teacher Lily Cai is receiving a lifetime achievement award from the San Francisco Ethnic Dance Festival and I’m so excited to be performing with her company for the first time! I have spent the last few years learning the technique of Yin Yang Balance she invented and it has revolutionized my relationship to my body and movement. 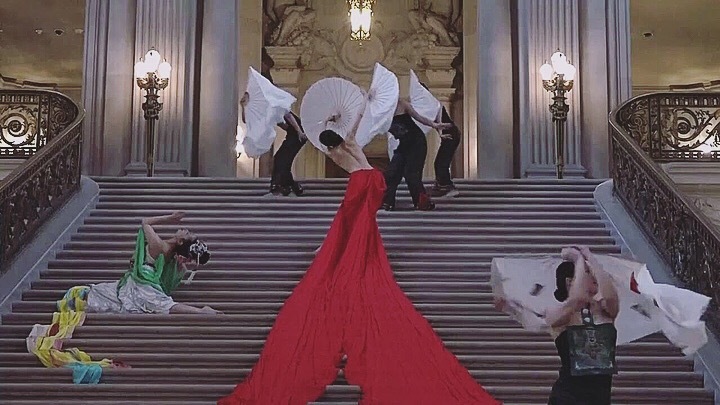 Her choreography unites contemporary art with traditional Chinese dance and is truly a feast for the eyes and spirit. We will be performing two of her award-winning pieces this Friday, June 8th beginning noon at City Hall's grand staircase. Part of SF Chronicle's dance picks for this week. Prom Rave x Global Barrio join forces to bring y’all Vivrant Thang: a blacklight dance party featuring UV body painting and vendors, not to mention the best global bass music in the Bay. More Info. Check out the recording of my last live set on Soundcloud. We have entered the month of the Yin Fire Snake, lasting until June 5th in the Chinese lunisolar calendar. The 12 animals of the Chinese zodiac each rule a year, month, day and hour. We are currently in a Dog year and beginning the month of the Snake. This month is also colored by the qualities of Yin Fire. The Snake is the yin counterpart to the Dragon in the House of Spirituality, hence it is known archetypally as the Mystic. Rather than seeking transformation by external means (the Magician), the Snake coils inwards to discover the truth. Most snakes are almost blind - they sense the environment through heat and vibration, which is not visible to humans. Similarly, the qualities of the Snake are discerning, sensitive and subtle. 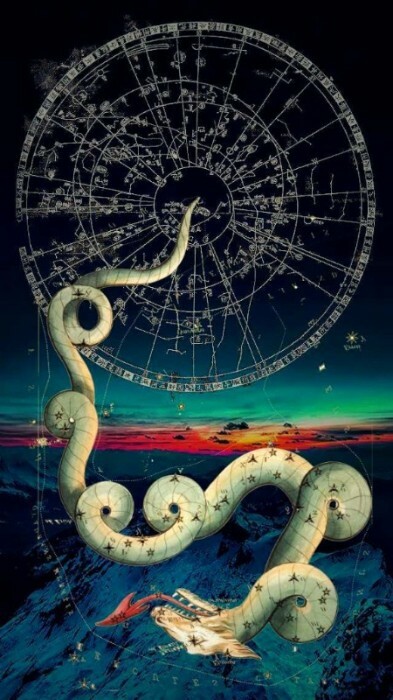 The life path of a Snake is to understand the world through supernatural perception, mastering the capacity to “see” not with one’s eyes, but with inner knowing. Before seeking answers outside of oneself, a Snake looks within. Before answering to an outer authority, Snakes must obey the truth of their intuition. Yin fire highlights the subtle nature of the Snake. Symbolized by a flickering candle flame, Yin Fire is mutable and discreet in nature. It is still an illuminating force, but prefers to inspire intellectually and play a support role emotionally. Because a candle’s flame is easily outshone by the sun, it is naturally drawn to nighttime, darkness and the shadows where its power can be felt. 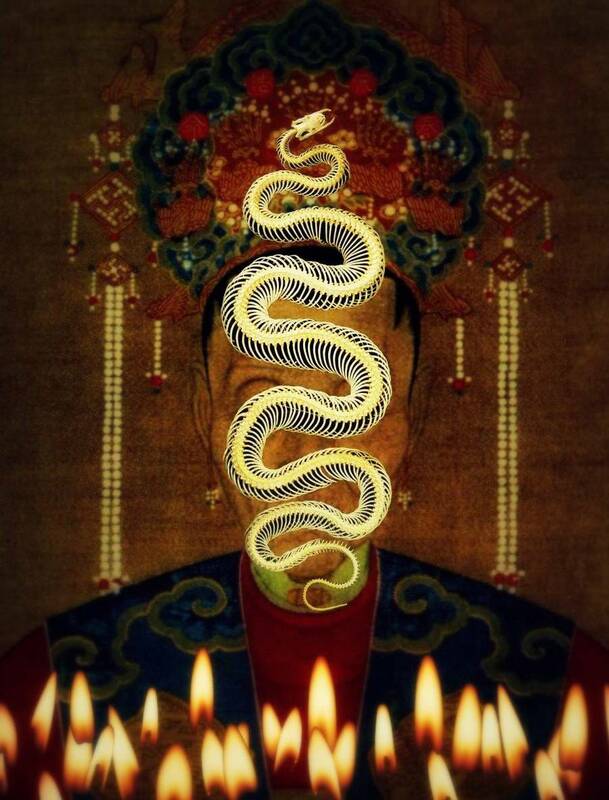 Occupying the unseen and hidden spheres, Yin Fire Snake is essentially seeking the most efficient path to the truth. It is attracted to our secrets and our subconscious precisely because it knows the deepest truths are buried there. This month we are called to make an inversion of how we understand and develop authority. We will need to take inventory of the ways we have outsourced our power: how our world view, motivations and identity come from our allegiance to external sources, such as our ties to family, culture, politics or religion. Last month had a distinct feeling of adolescence while this month of the Snake marks the rite of passage into adulthood. How can we go from seeing authority as outside ourselves, to developing our inner authorship, and eventually becoming an authority figure in society? Similarly as a country, the US is in an adolescent stage on the path to adulthood. An example of this is our confusion and misinterpretation of the second amendment, which states that a well-regulated militia is necessary to the security of a free state. How does one understand the notion of a “militia” and “freedom” through the wisdom of an adult rather than the point of view of an adolescent? We can gain perspective by turning to the Yijing, one of the oldest recorded texts of compounded human wisdom. The hexagram for “Militia/Army” is 師, which also means “The Collective” and “Master”. At a glance, these words seem to have little to do with each other. However, the Yijing is urging us to see the militia through the symbol of the collective. The soldier is drawn from the collective to produce a fighting body. The master embodies the wisdom of the collective inside a single body. A soldier takes orders from an external authority. A master is an autonomous thinker, having gained authorship of their own life. A soldier strikes because they have been told to do so. A master is like a snake coiling inwards before it bites, moving from an internal motivation. The lesson is that in order to utilize the right to bear arms, you must be a soldier or a master. To become a master, the soldier must walk the warrior’s path. The warrior knows that the only war is the one inside themselves. Once clarity and peace is reached there, the need for outer wars vanish. This is an elevated understanding of freedom and a free state. This month is about attaining true independence in our lives. From politics and culture to our relationships and spirituality, you are being tested to develop a more genuine set of values and integrity. Are you willing to deviate from tribal loyalties and be a true non-conformist, in order to obey an inner authority? Is your identity and ideology fixed or tolerant? Does it make you more compassionate or rigid? This month is the equivalent of being on a super highway to the truth. It will test your maturity, versatility, and ability to discern new levels of subtlety, causing you to feel very uneasy in your skin. Just remember that discomfort is merely a sign of growth. After you've shed the skins you’ve already outgrown, your authentic self can be free to emerge. I’m excited to announce this new menu of readings I’ve been developing, packed with new tools for fate resolution! You can read testimonials and purchase a reading by going to my website. Discount offered for low-income, please email me if you're interested. A Yearly Progression reading looks at the cosmic energies affecting you for the duration of this year, using your 八字 (Chinese astrology) chart and the 易經 (Yijing). A Yang Destiny reading focuses on a specific inquiry/question you have. Using your chart and the Yijing, this reading helps you understand the art of making choices in alignment with the Dao of your destiny. A Yin Fate reading is an in-depth 八字 chart reading that focuses on the karmic forces and inherited fate passed down from ancestors. Family constellation/chart comparison readings are also available at a higher rate. We have entered the month of the Yang Fire Dragon, lasting until May 4th in the Chinese lunisolar calendar. The 12 animals of the Chinese zodiac each rule a year, month, day and hour. We are currently in a Dog year and beginning the month of the Dragon. This month is also colored by the qualities of Yang Fire. The Dragon represents yang energy growing and rising, a time of strengthening and the month when spring transforms into summer. Just as nature is in a time of transition, we too are gathering momentum and strengthening our inner power. The Chinese Dragon is the only mythological creature of the zodiac, its power presiding over both the celestial and terrestrial realms. Because of this, it is a symbol of heaven uniting with earth and thus represents the transformative power of this alchemy. During the month of the Dragon, the time is ripe to transform old patterns. The spiritual animal of Yang Fire is the Vermillion Bird rising from the South. It too represents rising energy, and specifically the force that uplifts us into freedom. It is the furnace of clarity burning away illusions with its intensity, so that we may rise into spiritual power and enlightenment. With the combination of rising yang energy and the potential for liberation, Yang Fire Dragon symbolizes making the right choices during the most optimal time. 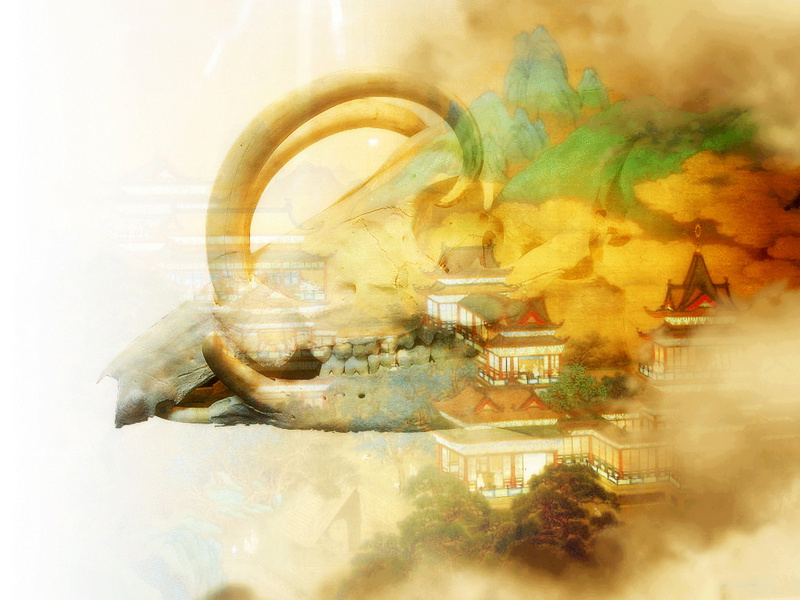 Both the Dragon and Yang Fire represent adolescence in the cosmological timeline. In the life cycle, this is when identity creation is at its peak level of potency, leading to the self formation of adulthood. Through exercising and asserting the self in the decision making process, we learn how to manage our own intensity. It is critical that we gain wisdom in where and how we place that intensity, because it has the potential to liberate us. With our power rising, so too is our capacity for more. Where we place our intensity will become the location of our transformation. This month we will learn the art of making choices. We will find ourselves in transition, at a critical crossroads. We will need to decide whether to make improvements or reach acceptance (in a situation or in ourselves), whether to pick up a weapon or to pray, to conform or to create, to act or to rest. We have the power of intensity to turn these choices into cascading change. In fact, if you are to ask for anything this month, make a prayer to be changed. This month carries the intensity (and thus the capacity) to transform what ails you into what frees you. Ask to change your anger into regard, grief into praise and fear into wisdom. Change your jealousies into admiration and what you admire will become your own. Change your anxieties into patience and what you let go of will bring you peace. Along with intensity, Yang Fire brings the speed of incinerating flames. Pray to get rid of intermediaries and embrace the swiftness of change. Intensity is like a star dissolving into the sun. The temperate spring is making room for summer’s vibrant luminosity. Be both courageous and thoughtful about where to place your strength. Use it to transform old patterns and liberate yourself, otherwise you will evade your own brilliance. Remember that when it comes time to shine, the sun has but one intensity. For the devotees who wish to become a disciple of the Underworld: To travel from delusion to dilution, the reality system to a mythic reality, you must participate in a sacred play in which your life becomes festival. Do not be afraid of your own alchemy, the process of reconstitution through flesh and blood. It is only through a mythical identification that the delusional ego, seeking permanence, becomes diluted and imprecise. How do you survive the Underworld? Words are no preparation. There is no getting ready, only grace. Without this great grieving, no one can enter the spirit. Beginning February 16th, we enter the year of Yang Earth Dog. Happy Chinese New Year! Because we are beginning a new lunisolar cycle in the Chinese calendar, this month's newsletter is an expanded forecast on the cosmic energies of the new year (rather than the month). According to Chinese wisdom traditions, the Dog symbolizes the protector, guardian, justice fighter and spiritual warrior. This archetype is birthed and called to service when weak forces dominate and yin overpowers yang. The Dog is in accordance with times of erosion, divisiveness, deterioration and the initiation of symbolic winter. The ancient ideograms for Yang Earth Dog (戊戌) shows a double ax and a wound caused from severing. The energies of this year are represented in the phrase "Biting through to reach the center." We ended a cycle of two Fire years and are beginning a new phase dominated by Earth. In this time, we've seen the highest number of fire fatalities in the US as well as a record loss in world tree coverage from wild forest fires. When fire burns itself out, ashes fall to the earth. What has been illuminated, inflamed and burnt up becomes concentrated and dense, establishing a weighty momentum. There have already been several high magnitude earthquakes ringing in this Yang Earth year. Because fire carries light into darkness, it symbolizes the freeing of true consciousness from acquired beliefs and illusions. When we move into the element of Earth, we become the medium in which new consciousness is integrated, digested and assimilated, progressing from the mental to physical, from intuition to manifestation. Yang Earth also represents the center of all objects and the self. To understand our positioning means we must have a deliberate relationship with our core - to see ourselves with utmost clarity and remove any superficial layers so that we may stand strong in our center. In Chinese metaphysics, the Dog totem rules the last month of autumn and the beginning of winter. The trees are tearing off leaves and dead branches, removing excess to conserve. This time actually represents great stableness in nature, when trees are incubating life energy deep in their roots. That is the hidden promise of this time: although the process of eradication and letting go can be frightening, what we are achieving is a return to our root. Through these changes of removal and even destruction, nature protects and stores life energy for the coming spring. From the personal to the global, the recent years have been times of revelation and reckoning. Last year was the year of the Fire Rooster, the sign of brazen displays and bold assertions of the truth. The Rooster's crow brought about cries of inequality, conservatism and a newly politicized populace unafraid of speaking up. From the political left to the alt right, from the #metoo movement to rampant hate speech, we ended the year with roaring exposés of honesty. This unbridled disclosure of our prejudices are significant because they break the seal of silence, but they are not enough. There must be follow-through and responsiveness through action. This year we will see the Rooster's crow turn into the Dog's bite. We are sinking our teeth into the bone, activating the intentions underneath our cries - battles for territory, protecting the vulnerable, a hunger to serve, loyalties to dogma and allegiances to newly defined packs. Physical location will become increasingly important this year as well. Our relationship to place and where we define home is a vital aspect to protecting our sense of belonging. For some of us, finding our center will require us to bite off ties and move to a new location. Earth turns the clarity of truth into the heaviness of reality. This is the time to align what has been said to what will be done. In divisive times, we are forced to realize neutrality does not exist. Yet we must be crucially discerning about who and what we stand by. We will need to determine how to take sides without defaulting to tribal loyalties. We will have to bite through the external displays of outdated identifiers and rigid principles in search of their lost essence. This year we will be tested to see if the values we proclaim are truly evident and durable, through our daily choices, interactions, lifestyle and how we make our livelihood. The wheel of justice now turns towards the manifestation of our underlying motives - the hidden spells beneath our words. Whatever is not in agreement with the world we want to create, we must let go. Like the time of winter, all excesses will be torn away either willingly or forcibly. You must bite off anything that is not aligned with yourself. Biting through will take resolve, integrity and strength of character. Sink your teeth into the center. This process may be surprising, terrifying or delightful, but what you will arrive at is unshakeable, intrinsic and true. I am so excited to announce my co-curatorial debut at SOMArts Cultural Center in San Francisco! This has been over a year in the making and the lineup of artists is truly inspirational and has been an honor to work with. Please save these dates! 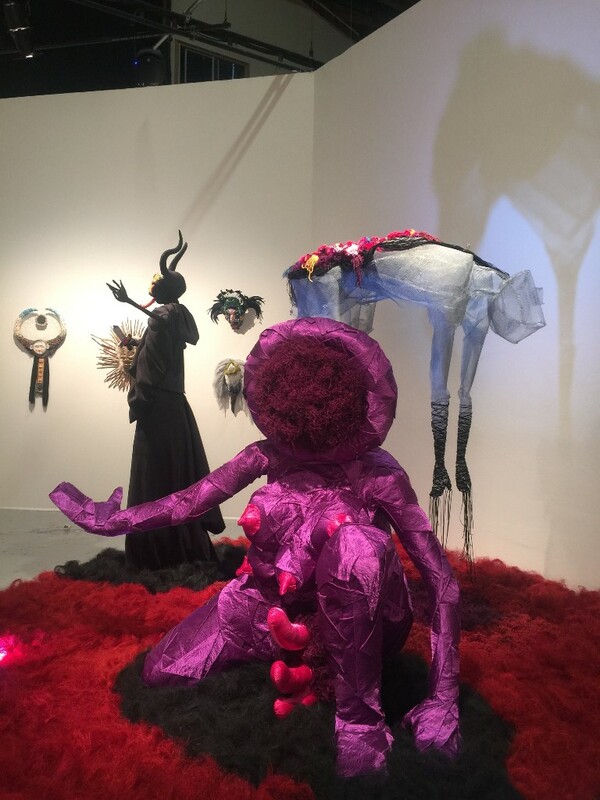 Diasporic Alchemy is a visual and performance art exhibition at SOMArts Cultural Center. Multi-media artists explore the process of alchemy using ancestry, mythology and cultural roots as the ingredients for creative mutation. 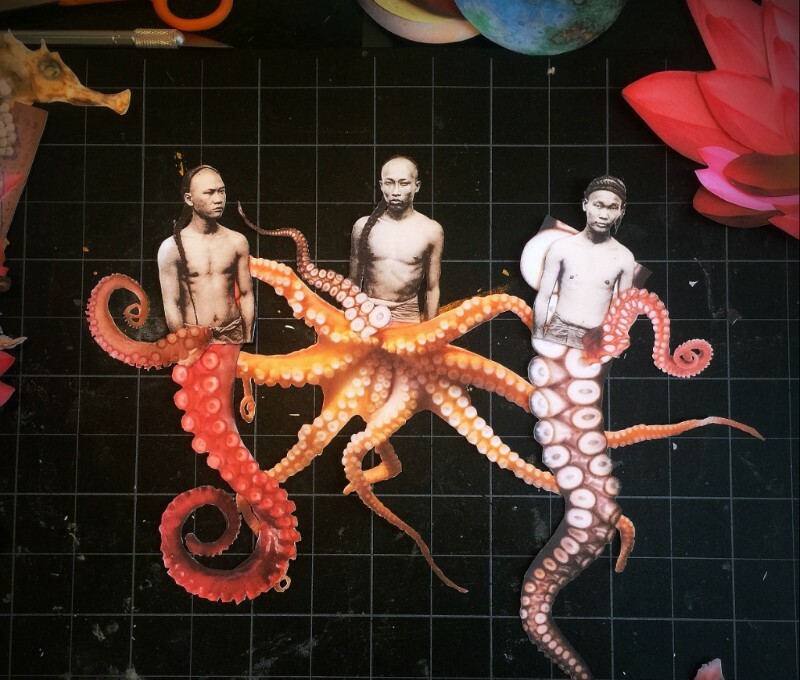 Through this collective exhibition, we aim to invoke a new and expansive global mythos, with critical dialogues about healing, community and interdependence. The opening night celebration debuts work by nine multi-media artists and five immersive, interactive installations. 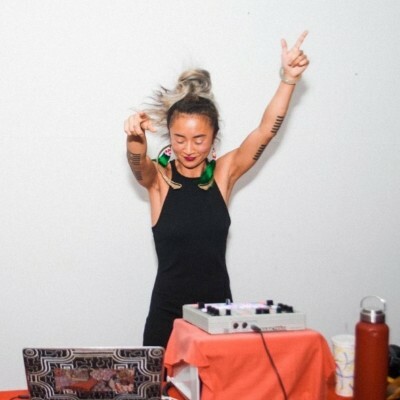 Performances by Kaley Isabella, India Sky and Sammay Dizon will activate the gallery space. 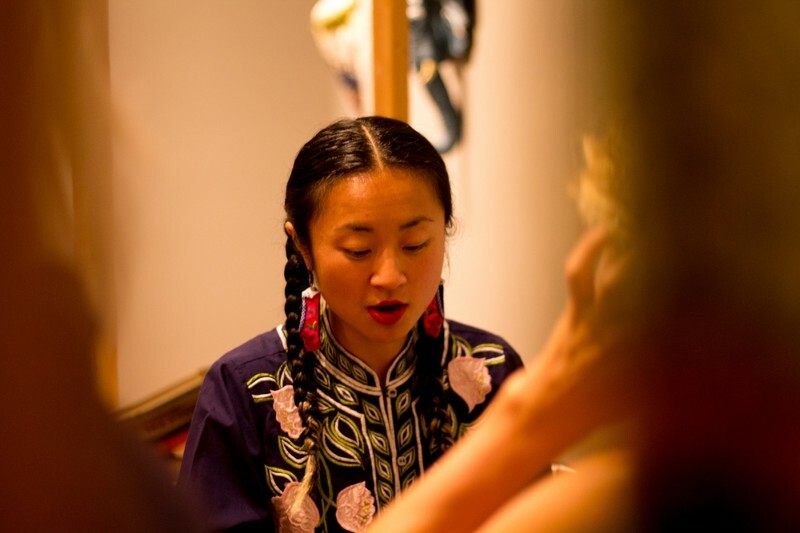 Professor of Chinese philosophy Dr. Meilin Chinn and collaborator Dan Doohan will present a performance lecture and magic show on Daoist alchemy, followed by a site-specific performance by Dohee Lee. 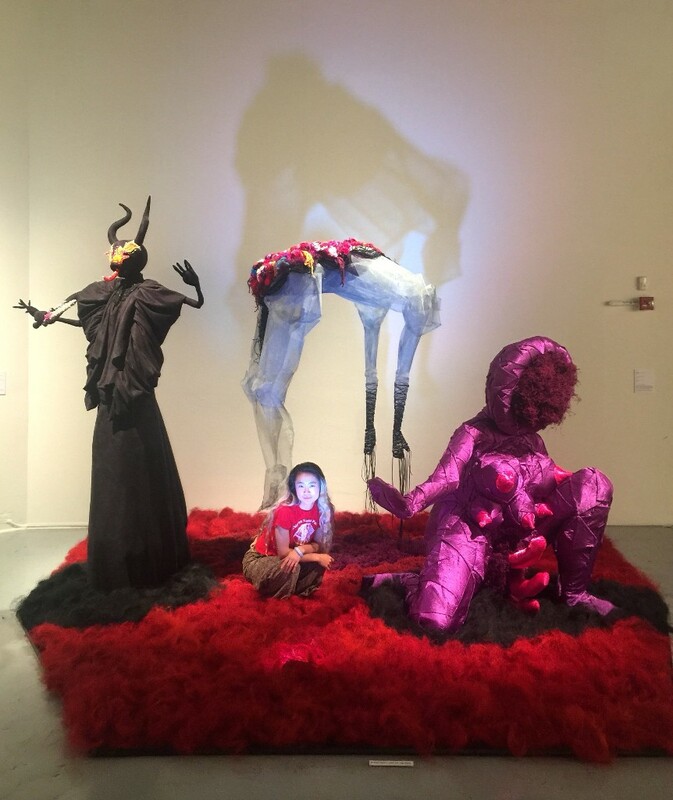 Come early for SOMArts Social happy hour with food by La Cocina culinary incubator from 5-7pm. Featuring Mario Jose Montijo, Lexagon, Gabriel Christian and ANiMA.